Joy Y Kiddie MSc., RD - I'm a Registered Dietitian in private practice in British Columbia, Canada that provides low carb and ketogenic services in-person in my Coquitlam office, as well as by Distance Consultation (using Skype / telephone). What all low carb diets have in common is that they are low in carbohydrates and high in healthy fats, but they vary with respect to the amount of protein and fat. This is part 1 in a new series titled The Role of Protein in the Diet, and outlines the problem with current carbohydrate intake in terms of the recommended dietary requirements. Sometimes, when people debate what is, or isn’t a “high protein diet” they define it in terms of the percentage of calories in the diet but this is really meaningless. For example, someone may be eating only 56 gm of protein which was 28% of the 800 calories per day they ate and someone else may be eating 160 gm of protein which is 34% of the 2000 calories they are eating per day. Both are eating ~30% of calories as protein but there is a big difference between 56 gm of protein and 160 gm of protein. 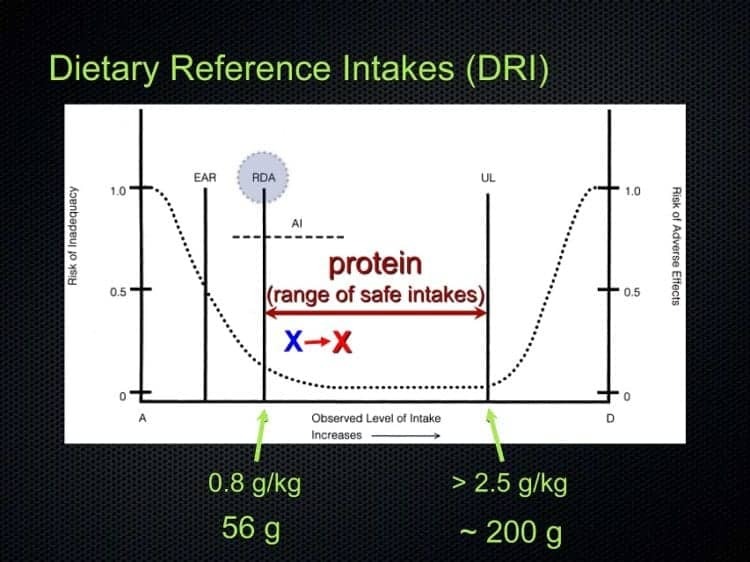 According to Dr. Donald Layman PhD , when we speak of a “high protein diet”, we need to discuss the absolute amount of protein in grams, not as a percentage of calories, because adequacy in determined on the basis of absolute intake. The RDAs for Carbohydrate is set at 130 g / day, but as established in an earlier article, How Much Carbohydrate is Essential in the Diet, we know that even in the absence of dietary carbohydrate (not recommended! ), the minimum amount of glucose needed by the brain of 130 g / day can be made from protein and fat, provided they are eaten in adequate amounts. The RDA for Protein is set at 56 gm per day, so whether a person is eating 800 calories a day or 2000 calories per day, their body has an absolute requirement for 56 gm of protein per day. The minimum amount of protein (56 g / day) is calculated based on 0.8 g protein per kg of body weight and the maximum amount of protein (~200 g / day) is calculated based on >2.5 g protein per kg of body weight. This range from 56 g to 200 g of protein per day is referred to as the range of safe intake. According to Dr. Layman, a high protein diet doesn’t start “until well above 170 g / day“. 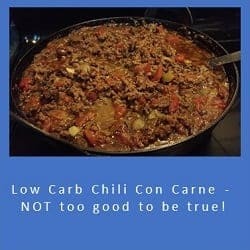 There are low carb diets that are higher in protein than others, and to distinguish between the two, the one that is higher in fat than protein (in grams) is referred to as a low carb high fat (LCHF) diet and the one that is higher in protein (in grams) is referred to as a low carb high protein (LCHP) diet - but it really isn't "high protein", but higher protein. Protein Intake in the US and in Canada is ~70 g of protein per day in women and in men about 90 g of protein per day (~15-16% of calories). Given the range of safe intake of protein from 56 g to 200 g of protein per day, dietary intake of protein in the US and Canada is very low. But what about current intake? How should we eat to make the most of these calories? What is going to give us the best health? 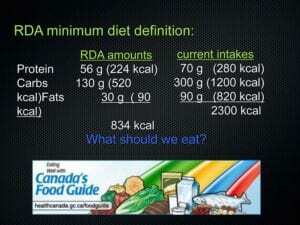 Currently, we are eating 3 times the RDA for carbohydrate (300 g carbohydrate per day!) and very close to the minimum for protein. Is this the right balance? What evidence is there for this being the ‘right balance’? Eating Well with Canada’s Food Guide, as with the US Dietary Recommendations emphasizes lots of whole grains and high carb intakes and very low protein intake. For a long time in both countries, we’ve highlighted that the issue is fat. But is this correct? It was thought that since fat has a high caloric density, reducing fat intake would reduce calorie intake and that’s where the US Food Pyramid and Eating Well with Canada’s Food Guide comes from. In both cases, the message is ‘stay away from fats‘, ‘stay away from proteins‘, ‘eat lots of cereal grains‘. 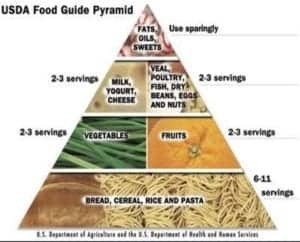 The Food Guide Pyramid first appeared in the US in 1988- exactly when obesity rates exploded. 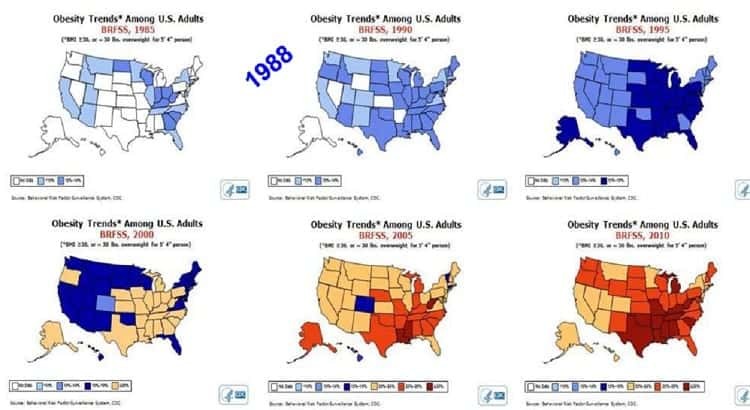 It tracks back almost to the date…obesity, Diabetes. This occurred as we started consuming more and more cereal grains and this, according to Dr. Layman “is the origin of the problem”. In 1978, only 15% of children and adolescents were overweight or obese. By 2007, that rate had doubled to 29% of children and adolescents being overweight or obese. By 2011, obesity prevalence alone for boys was 15.1% and for girls was at 8.0% in 5 to 17 year olds. Based on waist circumference 37% of adults and 13% of youth are abdominally obese. Looking at these numbers slightly differently, as of 2013, there were approximately 7 million obese adults and 600 000 obese school-aged children in Canada. What exactly changed in the Dietary Guidelines that caused us to get fat? These are all grain-derived products in excess of our caloric needs. See the pattern? The fifth category includes breaded chicken products, such as chicken fingers and chicken nuggets and even soda and sports drinks, sweetened with high fructose corn syrup are grain derived. All of these grain-derived products are in excess of our caloric needs. This is only part of the problem with current dietary intake of carbohydrates. In the next article in this series, I’m going to take a look at our current high intake of dietary carbohydrates in terms of the history of man’s diet and the length of time that we’ve had to adapt to eating them. 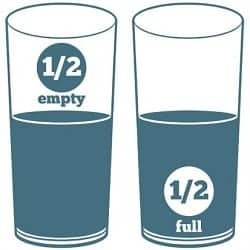 A Dietitian’s Journey Progress Report – is the glass half empty or half full? Ten months ago, it was urgent. I had to make a choice between going on several types of medication to lower my crazy-high blood pressure, and high blood sugars, triglyceride and LDL cholesterol or to immediately change my lifestyle. I chose to change my lifestyle. This is a progress report, going into the final two months of my first year at this. As with other changes we undertake, there are two ways to look at things; how far we’ve come or how far we have to go. I choose to look at my progress as both. I am certainly not “there” yet, but I am nowhere near where I was! Back in early March of this year, when I faced my own personal health crisis, it had been two years since I had any lab work done and ages since I was monitoring my blood sugar myself, even though I was Diabetic for the previous 10 years. It really was a case of classic denial. I didn’t want to know how bad it was. That day because I didn’t feel well, I faced the truth. I took my blood pressure (multiple times, because I couldn’t believe the readings!!) and I took my blood sugar. My blood pressure was so high, for certain had I gone to see my doctor at that point, he would have prescribed at least one type of medication, maybe two. Suffice to say it was dangerously high. My blood sugar back in March of this year was high, but what else could it be eating a carb-based diet. 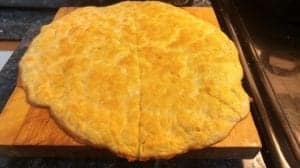 I had started eating low carb two years earlier, but life circumstances got in the way for a time and I failed to go back and pick up where I left off. As I could have predicted they would, things only got worse. My fasting blood sugar was between 13.0 mmol/L (234 mg/dl) and 9.0 mmol/L (162 mg/dl). That’s nuts! I was obese (BMI > 30). I’d joke about being the “fat Dietitian” but it wasn’t funny. 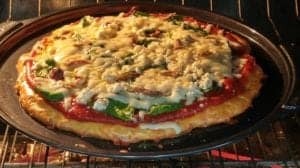 For the previous two years, I was teaching others to eat low carb high healthy fat in order to lower their weight and reduce their insulin resistance, but I was in classic denial when it came to myself. Yes, I knew I was fat, but I was in denial as to just how much risk I was at for a heart attack or stroke. My LDL was high and even though my high HDL acted as a protective factor, in the context of me being Diabetic, obese and having very high blood pressure, the only place it was going to go was higher – unless I changed my lifestyle permanently. That day I did. For me, there really can’t be any turning back as it really is a matter of life and death. I am no longer in denial. The weight has been coming off, slowly but surely. I haven’t made any major progress in the last month, but then again I didn’t gain anything of significance over the holidays. That’s a good thing. Okay, it’s a very good thing. Looking at it with the ‘glass’ being half empty I am still only 1/2 way to where I need to be to have my waist circumference 1/2 my height. Looking at it with the ‘glass’ being half-full, I’ve lost 30 pounds. 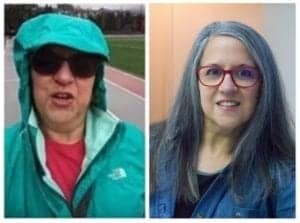 I feel better about how I look than I have in many years, and I am only half way there. I am celebrating my progress, but not letting it be enough because health-wise, it isn’t. To truly reduce my risk of heart attack and stroke, I need to lose another 30 pounds, or whatever weight will actually put my waist circumference at half my height. I’ve loss 6 inches off my waist. That’s 1/2 a foot! Crazy, eh? I only have another 4 inches to lose off my waist for me be in the low-risk category and I am guessing that will correlate to another 30 pounds of weight loss. Maybe it will be less, maybe more, but my weight loss goal is whatever it takes for my waist to be half my height. The scale won’t determine my goal, the tape measure will. My blood pressure has been ranging from between just below the normal range to pre-hypertension for months, but to protect my kidneys I am continuing to take a “baby dose” of Ramipril® (2.5 mg per day) that I asked the doctor to put me on until my blood pressure is consistently below normal and the meds need to be reduced or discontinued. The dose I’m on is the smallest it comes in and my doctor has switched me to tablets, which can be split if my blood pressure is consistently on the low side. As covered in an earlier update, my triglycerides and cholesterol are now in the ideal range simply from the dietary changes I have made. My blood sugar has been a bit frustrating, because overall it isn’t going down nearly as fast as I thought it would, or as I’ve observed other people’s to do. Everybody’s different and mine is just taking this long despite all the things I am doing right. I started out eating “low carb” (50 gm carbohydrate per day) and as it turned out it wasn’t low carb enough, perhaps because of how long I’d been Diabetic and just how insulin resistant I really am. A few months ago, I added regular intermittent fasting (IF) – fasting 23 hours from the end of supper to the beginning of supper the following day (drinking ‘bone broth’ and tea and other appropriate beverages while fasting). I have done one slightly longer fast, with careful monitoring. Along with IF, a number of months ago I also lowered my carb intake to ≤ 35 gm of carbs per day and monitor my blood sugar 5-7 times per day to make sure it doesn’t dip too low. During the day time, towards the end of a 24 hour fast, my blood sugar will be in the low 4’s mmol/L (~81 mg/dl) just before I eat again, but in the morning, the lowest it has ever been is 5.8 mmol/L (105 mg/dl). No matter what I do the night before (i.e. exercise, eat very low carb) my blood sugar begins rising around 3 am and continues rising until 6 or 8 am, even though I am fasting. It is classic “dawn phenomenon” and it has been incredibly frustrating. My HbA1C has dropped from ~9.0 % (at the beginning of March) to 7.5 % (July 25 2017) to 7.0 % (October 11 2017) in 7 months, but for the last 3 months it has remained stubbornly at 6.8 % – almost exclusively because my fasting blood sugar remains high. This led me to a decision to ask my doctor to trial me on a “baby dose” of Metformin® only at night to see if it will help bring down my fasting blood sugar and more importantly, the corresponding insulin resistance, while I continue to eat a very low carb (ketogenic) diet and practice intermittent fasting. After reviewing the over 400 glucose readings I took from March 5, 2017 onward and seeing that my HbA1C remains only slightly lower the last 3 months despite all my lifestyle changes, my doctor agreed to trial me on the lowest dosage of Metformin® over the next 3 months (the dose given to youth with high blood sugar). It will be interesting to see its effect as of January 6, 2018. What many people may not realize is that while Metformin® is now a pharmaceutical (medication), it was initially derived from a plant called “goat’s rue” or the French lilac and has been used since the Middle Ages to treat the symptoms of Diabetes. 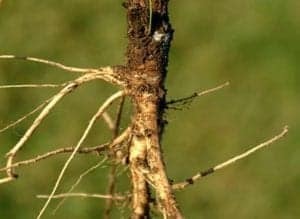 It’s not unlike acetylsalicylic acid (ASA), which is the active compound in Aspirin® which was originally isolated from white willow bark. Aspirin® and Metformin® are both natural in origin. In addition to its natural origins and long-standing safety record, studies indicate that people with Diabetes who take Metformin® have lower incidence of cancer and dementia and in animal models, increased longevity has also been reported. Given all of these factors, it seemed reasonable for me to ask my doctor to trial me on a small dose of Metformin® to see if it keeps my liver from manufacturing too much glucose in the early hours of the morning, thus lowering my overall insulin resistance, while I continue to eat ketogenically and practice intermittent fasting. My doctor agreed. While it is too soon to know how much impact this small dose will have, from January 6th until today, my blood sugar is averaging 6.5 mmol/L, yet still rising from 3 am until 6 am. I will give it a few more weeks and then possibly ask my doctor to try me on the same dosage of slow-release Metformin®, to see if my morning blood sugar is improved. It may seem strange to some that I would add medication after successfully having lost so much weight, having brought my lipids into the ideal range for non-Diabetics, and having lowered my blood sugar to the ideal range for Diabetics (≤ 7.0%) solely by adopting a low carb lifestyle and practicing intermittent fasting. I view much it like wearing a brace or using a cane after injuring one’s knee. It’s not a permanent measure, but support and protection while the healing continues to take place. This is my journey, and my progress and challenges are as individual as I am. Everyone is different and the degree of carb reduction and whether or not intermittent fasting may be helpful for you is something that will only be known it time as we work together. One thing is for certain is that unless one starts the process of working towards achieving their health and wellness goals, things will not improve on their own. Please send me a note using the “Contact Me” form located on the tab above. It’s halfway through the first week of 2018 so, how are you doing with accomplishing your New Year’s goals? According to two University of Scranton studies, by the end of the first week 50% of people who made health and weight loss resolutions will have already given up. By the end of January, that number will rise to 83%. In fact, only 8% of people are successful in achieving their health and fitness resolutions on their own – perhaps because it takes ~66 days for a new behaviour to become a habit (Lally et al, 2010). That’s more than 2 months. Having the professional support of a Registered Dietitian during this critical time can make all the difference! Perhaps you’ve lost weight before by cutting portion sizes, going to the gym and eating ‘low fat’. You ate cottage cheese, skimmed milk and celery sticks until it was coming out of your ears and while the weight did come off, you were hungry, grumpy and cold. What if I told you there’s a much better and easier way to lose weight, where you eat real food that’s easy to prepare and tastes great? There is no weighing and measuring food portions and there are no special products to buy. I not only teach others how to do this, I eat this way myself. There are many benefits to eating this way in addition to losing weight, including the ability to reverse symptoms of Type 2 Diabetes and prediabetes, lower high blood pressure and high triglycerides and improve cholesterol. Please send me a note using the “Contact Me” form on the tab above to find out how I can help you be successful at achieving your weight loss and health goals for 2018. I often get asked ‘how much fat should people on a low carb high fat diet eat’ and ‘which types of fat’? In this article I answer both questions. 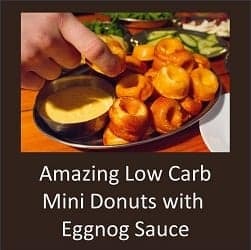 As mentioned in previous blogs, there are many types of “low carb diets” -ranging from moderately low carb diets (~130 g carbs) such as the one the American Diabetes Association recommends for weight loss in those with Type 2 Diabetes, to ketogenic low carb diets (5-10% net carbs), and everything in between. In any low carb diet, carbs (5-10% net carbs) are supplied in foods such as non-starchy vegetables, nuts and seeds, and certain fruit. In a moderately low carb diet, ~25% of calories come from carbs found in the same foods as with a keto low carb diet, along with the addition of milk and yogurt, legumes, and small amounts of grain products. 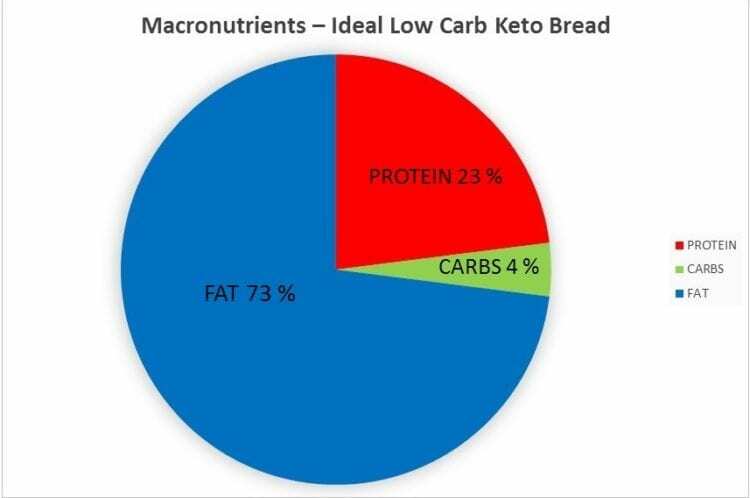 What low carb diets have in common is that they provide adequate but not excess protein (~75-120 gms total protein), varying amounts of carbs (35-40 gm in a ketogenic diet, 130 gm in a moderately low carb diet), with the remaining calories coming from healthy fats. 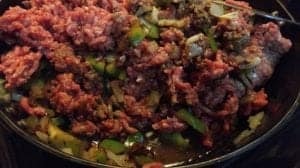 Some types of low carb diets (e.g. Paleo diets, Dr. Atkins diet, etc.) include large amounts of red meat, including processed meat such as bacon and sausage, and an abundance of cream and butter. 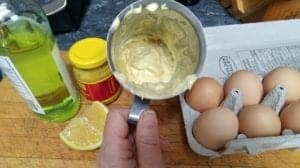 While there is nothing inherently ‘bad’ about saturated fat for healthy people (covered in a previous article), there are some individuals with specific risk factors or disease conditions that might benefit by taking a more conservative approach with regards to the total amount they eat of these types of fats. 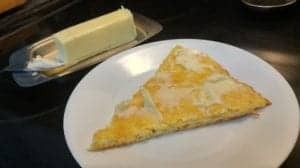 Unless required for clinical reasons, the low carb diets I teach include the saturated fat found naturally in the protein foods for the day, as well as butter for cooking or seasoning vegetables, mayo for canned fish or eggs, and a dollop of sour cream with a meal or cream in coffee. If, for example people love the crispy skin on a barbecued chicken and there is no compelling reason to remove it, then they can by all means enjoy it. Same for the visible fat around the outside of a rib steak. 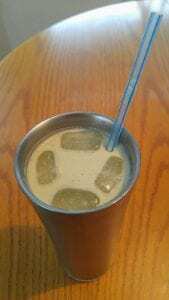 That said, I see no justifiable reason for adding “fat bombs” to the diet or drinking “bullet proof coffee” made with added butter and coconut oil – especially for individuals who have been overweight or obese and have leptin resistance (covered in an earlier article), that accompanies insulin resistance. 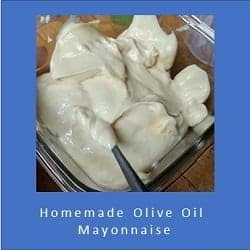 Most of the fats that I recommend people eating should be a natural part of meals and come from mono-unsaturated fruits, such as avocado and olives, from a wide variety of nuts and seeds (as well as from the oils from these foods), from coconut oil used for cooking, as well as from omega 3 fats found abundantly in certain kinds of fish, such as salmon, mackerel and tuna. It is important to keep in mind as covered in earlier articles, that if one is limiting carbohydrates then sufficient fat is required from which the body will make ketones for fuel, as well as for one of the sources (along with protein) from which it can synthesize the small amount of glucose (130 g / day) that it needs for brain function. Of course, when a person is completely fasting (religious reasons, medically supervised, etc.) the 130 g / day of glucose needed by the brain can be made from fat stores. Remember too, that when limiting carbohydrates, eating adequate amounts of healthy fat along with sufficient protein will keep you from getting hungry between meals by increasing satiety (the feeling of ‘fullness’ that fat provides), so when you are planning your meals, be sure to include a variety of types of fat in sufficient quantity. 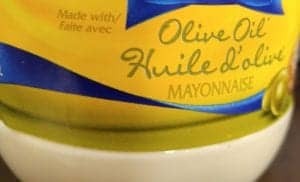 If you are following a low carb high fat approach, feel free to add olives on top of a Greek salad and drizzle it with a beautiful extra virgin olive oil. Enjoy homemade guacamole with blackened fish or a salad sprinkled with nuts or seeds and topped with a macadamia nut balsamic vinaigrette. These are just some of the delicious ways to enjoy added fat. Want to know which kind of low carb high fat diet might be best for you? Please send me a note using the “Contact Me” form on this web site. Note: There is no one-size-fits-all approach to following a Low Carb High Fat lifestyle since everybody’s nutritional needs and health status is different. If you want to adopt this kind of lifestyle, please discuss it with your doctor. The holidays have come and gone but what about your resolve that this would be the year you’d achieve your health goals. You want to, of course – but it all seems so overwhelming. Perhaps the weight has crept up over the years – and with it higher blood sugar, blood pressure and LDL cholesterol and triglycerides, too. I know. I was “there” this time last year. If I was honest with myself (which I wasn’t! ), last New Years I was 60 pounds overweight. It had been far too long since I had taken my blood sugar and I was already Diabetic and the last time I had lab work done two years earlier, my ‘bad’ cholesterol was already higher than it should be. I was in denial. Reality was, I was an overweight, unwell Dietitian. It took two of my girlfriends dying within months of each other – both of preventable, natural causes, for me to seriously consider “doing something”. But when? March 5, 2017 I didn’t feel very well and decided to take my blood pressure. It was dangerously high. That was the day that “one day” became “day one”. That was the day I overcame my own resistance to change – when the pain of remaining the same was greater than the pain of changing. It is 10 months later and much has changed for me. While I am only half way to my goal weight, my blood sugar, blood pressure, cholesterol and triglycerides are well within normal range, with some in the ‘ideal’ range. It isn’t a “quick fix”, but it is a “lasting fix” and it is entirely sustainable over the long term. 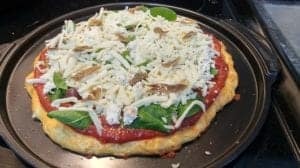 After two and a half years teaching my clients the “how-to’s” of a low carb lifestyle, I finally had become my own client. I eat the way I’ve taught others to do since 2015 -practicing what I preach, and loving how I feel. Has New Years come and gone and still you don’t have a concrete plan to achieve your health and nutrition goals? Today can be “day one”. Drop me a note using the “Contact Me” form to find out how I can help. Have you made any New Years Resolutions? 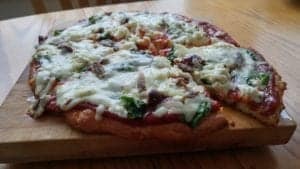 According to two University of Scranton studies done ten years apart, two of the top New Years Resolutions are to lose weight and eat healthier. The study also found that those who made New Years Resolutions were 10 times more successful at changing their behavior in the short run than those who wanted to change their behavior but didn’t actually making a resolution. The bad news was that only a week into the New Year, 50% had already given up and by the end of January, that number had risen to 83%. Unfortunately, only 8% of people are successful in achieving these types of New Years Resolutions on their own. The reality is that it takes approximately 66 days to create a new habit (Lally et al, 2010). That’s more than 2 months. Having the professional support of a Registered Dietitian during this critical time can make all the difference! Like many of my clients, you have probably lost weight before — perhaps by cutting portion sizes, going to the gym or eating ‘low fat’. You dutifully ate rabbit food, cottage cheese and skimmed milk and while the weight came off, you were probably hungry, grumpy and cold, but determinedly you pressed on. Or maybe you didn’t. What if I told you there’s a much better, and easier way to lose weight and as importantly, bring blood sugar levels and blood pressure levels down and lower high triglycerides? I not only teach it, I am doing it. If you want 2018 to be the year you achieve your weight loss and health goals, then let’s do this together. Please send me a note using the “Contact Me” form on this web page to find out more. All the best of health and happiness to you and yours in 2018! 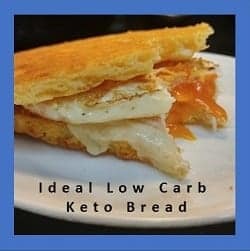 Recently, there has been a lot of buzz about a weight-loss program called Ideal Protein® which is often talked about as being a “low carb diet” so I decided to look into what this system is, and how it works. A local pharmacy is participating in this program, so I was able to obtain information directly from the pharmacist. Ideal Protein®, in it’s weight-loss phase (called “Phase 1”) is both a low carb and low fat diet – and is most significantly a calorie-restricted diet promoted for weight loss. “Lifestyle Clinics”, many of which are located at participating pharmacies are supervised by a pharmacist (or a nurse) who oversees the promotion of the Ideal Protein® line of products required for the diet, as well as the Natura® vitamin and mineral supplements and “Ideal Salt®“, which clients are instructed to use daily. The designated pharmacist (or nurse) reviews the sign up, but “Ideal Protein® weight loss “coaches” are the ones who review weekly “food journals” that clients are required to keep, as well as records client’s weight, body measurements and fat % readings at their weekly “check-ins”. In addition to limiting both carbs and fats, many foods are not permitted to be eaten by those on the Ideal Protein® diet until clients achieve 100% of their weight-loss goals. For example, no cheese or dairy is permitted during the weight loss phase, except for 30 ml (1 oz) of regular milk in coffee or tea at breakfast. Natura® supplements are prescribed to clients to ensure adequate intake of calcium and magnesium. The only vegetables permitted during the weight-loss phase of the Ideal Protein® diet during lunch and dinner are what are called “selected vegetables” – which exclude green and wax beans, Brussels sprouts, eggplant, heart of palm, rutabaga, snow peas, tomatillo, and tomatoes. These are considered “occasional vegetables” and are allowed to a maximum of 4 cups per week. *NOTE: I have been advised from a pharmacist that sells these products that these vegetables have “extra carbohydrates” and “slightly higher GI (glycemic index) for the most part“, which is the reason they are limited. Glycemic Index (GI) is a measure of the effect of carbohydrates on a person’s blood sugar. I am more interested in a food’s Insulin Index (II) which is a measure of the effect of a carbohydrate on a person’s insulin levels. Permitted “selected vegetables” are alfalfa, asparagus, bamboo shoots, bean sprouts, bell peppers, broccoli, cabbage, cauliflower, celeriac, celery, chayote, chicory, collards, cucumbers, dill pickles, fennel, Chinese broccoli, green onions, jicama, kale, kohlrabi, mushrooms, okra, onions (raw only), hot peppers, radish, rhubarb, sauerkraut, spinach, Swiss chard, turnip, and zucchini / yellow summer squash. Only unlimited “raw vegetables and lettuce” in the list below are permitted during the weight-loss phase (and only during lunch and dinner). These are arugula, bibb lettuce, Boston lettuce, celery, chicory lettuce, cucumber, endives, escarole lettuce, frisée lettuce, green and red leaf lettuce, iceberg lettuce, mushroom, radicchio, radish, romaine lettuce, spinach and watercress lettuce. All others raw vegetables and lettuce are prohibited. Even in Phase 2, clients are instructed to only “eat the vegetables permitted” and to “continue to omit cheese and other dairy with the exception of 30 ml (1 oz.) of milk in coffee or tea only“. BREAKFAST: 1 Ideal Protein® diet food product, with the option of having coffee or tea with 1 oz. (30 ml) milk, plus Natura® vitamin and mineral supplements. LUNCH: 1 Ideal Protein® diet food product, with 2 cups of “selected vegetables” and unlimited “raw vegetables and lettuce” from the above list. DINNER: clients can eat 8 oz (225g) of lean fish / seafood, lean beef, skinless poultry, lean cuts of pork, veal or wild game meat and 2 cups of “selected vegetables” and unlimited “raw vegetables and lettuce” from the above list plus Natura® vitamin and mineral supplements and omega 3 plus. SNACK: For a snack, clients eat another Ideal Protein® diet food product and more Natura® vitamin and mineral supplements. 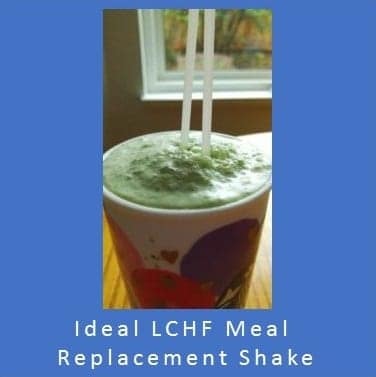 In “Phase 2”, which occurs after 100% of weight loss goals have been achieved, the number of Ideal Protein® diet food products required to be consumed is reduced to 2 and clients can eat the protein choice they wish from the approved list at both lunch and dinner, for 2 weeks. The “selected vegetables” and unlimited “raw vegetables and lettuce” remains the same. In “Phase 3”, the number of Ideal Protein® diet food products required to be consumed is reduced to 1 and clients can continue to eat the protein choice they wish from the approved list at both lunch and dinner, for 2 weeks. The “selected vegetables” and unlimited “raw vegetables and lettuce” remains the same. It is only in “Phase 4”, the maintenance phase” of the Ideal Protein® weight loss system where clients are allowed to eat “all whole foods, including protein and fats, and do not need to eat the Ideal Protein® products”. Clients are instructed to follow the strict carbohydrate and fat restriction until they achieved “100% of their weight loss goals” and to “eat no more / no less” than the amount of food listed for each meal and snack. That is, “Phase 1” last as long as necessary until a person loses all the weight they planned. They are cautioned that during Phase 1 and possibly beyond that, six symptoms may occur – especially if they “don’t follow the weight loss method as prescribed”. These symptoms are hunger, headache, nausea, fatigue, constipation and bad breath. 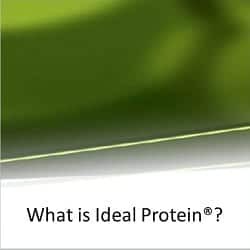 Ideal Protein® provides only 850-1000 calories per day, which makes it a calorie-restricted diet. The Ideal Protein meal replacement packets provide ~20 gm net carbs per day and the “selected vegetables” and “raw vegetables and lettuce”provide ~ 20 gm net carbs per day. Total net carbs are ~40 gm / day. In the Ideal Protein® system, the meal supplements contain ~15-20 gm protein each and 3 of those are to be eaten each day, along with 8 oz of lean animal protein per day. From the ‘meal packets’, there are 60-80 gms of protein and anywhere from 56 gm of protein (lean ground beef) to 72 gms of protein (chicken breast). In total, the Ideal Protein system has people eating between 120 gm – 152 gm of protein per day. According to Statistics Canada (www.statcan.gc.ca/daily-quotidien/170620/dq170620b-eng.htm), the average protein intake for an adult is 16.5% to 17.0%. Based on Ideal Protein® system having a caloric intake of 850-1000 kcals/day, and the 3 meal supplement packets providing 15-20 gm of protein each, plus the 8 oz of lean protein (another 56-72 gms of protein), the Ideal Protein® system supplies 53 – 67.5% of calories as protein. In terms of cost, it is ~ $500 to sign up to begin the Ideal Protein® diet, which includes a ‘coaching fee’, first round of supplements and 2 weeks worth of meal replacement and meal supplement sample products. After sign up, the cost works out to ~$100 a week to purchase the Ideal Protein® products, plus supplements i.e. each box of 7 Ideal Protein® “meal replacements” or diet food product (required to be eaten for meals and snacks) costs ~$30 and for weight loss, 3 boxes a week are required. Each additional month is another ~$400. The Ideal Protein® company is headed by Dr. Randall Wilkenson MD, who has 20 years experience specializing in allergy and environmental medicine and who now works with his son Denver Wilkenson, whose experience is in managing a weight-loss clinic in Idaho for 3 years. Ami-Higbee, RN serves as Clinic Director and Mike Ciell, RPh, a registered pharmacist certified in geriatric pharmacy, is VP of Clinic Operations. At the time of writing, no Registered Dietitians are listed on the team, but they do have a ‘chef’ from Quebec who designs their recipes, almost all of which include ingredients from their Ideal Protein® product list. According to a local pharmacist that I spoke with, Ideal Protein® has over 4000 of these “Lifestyle Clinics” worldwide. This diet is very popular, but it is not a “low carb diet” but is a “low carb, low fat, calorie restricted diet”. It’s easy because people don’t need to think what to to eat and can buy meal replacement products to satisfy breakfast and the protein component of lunch. For supper, clients are provided with recipes that use the special branded products that they already purchase to make cooking easy. A snack (deemed necessary, I presume) is another food replacement product. There is limited food preparation required. The diet system promotes fast weight loss — where both carbohydrates and fats are limited. Since it is overseen by a pharmacist or a nurse, it has the image of being healthy. But is it “ideal”? As discussed in an earlier article, our bodies have an absolute requirement for specific essential nutrients; nutrients that we must take in our diet because we can’t synthesize them. These are listed in several volumes called the Dietary Reference Intakes (DRIs), published by National Academies Press. There are essential amino acids, fatty acids, vitamins and minerals – and it is necessary to take in adequate protein and fat, when carbohydrate is restricted. … however, Ideal Protein® diet restricts both carbs and fats. 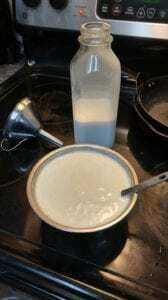 It restricts cheese and all dairy except for one ounce of milk per day. It restricts which non-starchy vegetables can be consumed. It allows no nuts or seeds. It offers vitamin and mineral supplements and food replacements in place of those real foods. In the Ideal Protein® system, people are required to eat 4 times a day with carbs contained in the branded meal supplements on each occasion. Research supports that to begin to lower insulin release in insulin-resistant people requires periods of at least a 12 hour where no food is eaten, which naturally occurs after dinner before the first meal of the day breakfast). Having people eat a ‘snack’ would appear to be self-defeating. Eating a low carb high healthy fat with 3 meals per day, with nothing between supper and breakfast supports the lowering of insulin release, improving the cells insulin sensitivity, in time. Adding to this periods of intermittent fasting (which is not a total fast, but has no carbohydrates or significant amounts of protein) allows insulin levels to fall even further, which is often the goal of eating a low carb diet. In the Ideal Protein® system, the meal supplements contain ~15-20 gm protein each and there are 3 of those per day and there is also 8 oz of lean animal protein per day. From the ‘meal packets’, there are 45-60 gms of protein and anywhere from 56 gm of protein (lean ground beef) to 72 gms of protein (chicken breast). In total, the Ideal Protein® system supplies between 100 gm – 132 gm of protein per day. While carb intake in the Ideal Protein® system is low, the body would synthesize glucose from the excess protein (called gluconeogenesis) resulting in insulin release. From my understanding, this appears to be self-defeating if the goal is to lower insulin release. It would seem that the increased gluconeogenesis from the high protein intake in the Ideal Protein® system would not support increased insulin sensitivity as much as a low-carb-high-fat moderate protein diet, even without intermittent fasting. Another factor is the $500 start-up cost for the first month, plus another $400+ for each additional month to eat ‘meals’ comprised of largely of meal replacements and supplements, along with some real food. Ideal Protein® makes it easy and promotes rapid weight loss, but is it really “ideal” for people who have made poor eating choices in the past — when they don’t learn how to make healthy meal choices while achieving weight loss? Weight loss may be quick, but weight loss also has to be sustainable. Also, is it really “ideal” for people who are insulin resistant when it has them eating food with carbohydrate and protein 4 times per day? I encourage my clients to eat a wide variety of real foods – foods such as dairy products including cheese, domesticated and wild meat, poultry and fish, especially fatty fish that are rich in omega 3 fats, low-carb fruit and a vast array of low-carb vegetables. There are fats from all sources, including some healthy saturated fat, with most fat coming from healthy monounsaturated sources such as olives avocados, nuts and seeds. There are no food diaries to keep and no mandatory “weigh-ins” or “check-ins”. My clients eat real food when they are hungry and don’t eat if they are not hungry. Most significantly, they learn to make healthy food choices with whole, real food as they lose weight. Each person needs to evaluate for themselves whether use of the Ideal Protein® system makes sense for them. As I always do, I recommend that people consult with their own doctor before beginning any weight-loss program. The photo on the left is what I looked like when I started my weight-loss and health ‘journey’ on March 16, 2017, 9 months ago. The photo on the right, is me today. Based on my BMI, I was well into the Class I Obesity category 9 months ago. Based on my BMI today, I am just 15 pounds from my weight falling in the normal range. At the beginning of March, my blood pressure ranged between Stage 2 Hypertension and Stage 1 Hypertension – sometimes being dangerously high. Now, my blood pressure hovers around 125/80 mmHg mark, and I am still on the ‘baby-dose’ of Ramipril for now, as it protects my kidneys. My triglycerides and my LDL cholesterol (“bad cholesterol”) were high, certainly well above what it should have been for someone who has Type 2 Diabetes and had family risk factors. Thankfully, my HDL was good, offering some protection. In the past 9 months, my morning fasting blood sugar has dropped from ±12 mmol/L (216 mg/dl) to anywhere from 5.8 mmol/L (105 mg/dl) to 6.5 mmol/L (117 mg/dl) – with the occasional 8.0 mmol/L (144 mg/dl) for seemingly no apparent dietary reason. For my fasting blood sugar to be in the non-diabetic range, it needs to be consistently below 5.5 mmol/L (99 mg/dl). When I began this journey, my HbA1C was ~ 9.5% and during the last 30 days, I am averaging ~6.3% which is in the non-diabetic range. This has been entirely achieved without any medication to lower blood glucose. I was determined to reverse the symptoms of Diabetes, high cholesterol and high blood pressure by changing how I ate and by introducing short periods of intermittent fasting and I have certainly made significant progress. I’ve lost ~25 lbs so far, but the changes in my body and face shape are even more noticeable, as evidenced by the photo above. This week, I reached the “goal weight” that I initially set for myself, but in order to attain an ideal waist circumference that is 1/2 my height, I probably have to lose another 20-25 pounds, which means I am half-way there. I am entirely convinced that this is realistic and attainable. Want to start your own weight loss and health journey? Why not send me a note using the “Contact Us” form above. Wishing you and yours all the best for holiday season! Note: I am a “sample-set of 1” – meaning my results may or may not be like anybody else’s that follows a similar lifestyle. If you are considering eating “low carb” and are taking medication to control your blood sugar or blood pressure, please discuss it with your doctor, first. 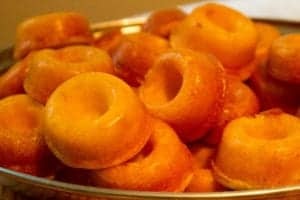 These delectable mini donuts are made with the finest ingredients; real creamery butter, fresh cream and eggs and the seeds of real vanilla beans. 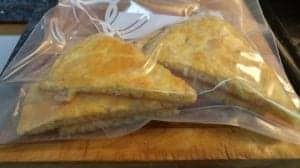 They are light, crispy and have that cake-like texture you want in a treat and are both low carb and gluten free because instead of flour, they contain whey protein and ground almond flour. 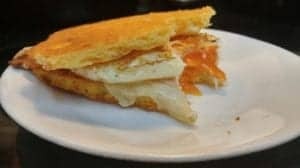 …or for those wanting a deep-fried treat, they can be baked for slightly less time and then deep-fried. 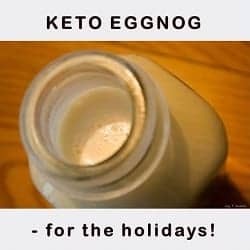 Served with a rich homemade eggnog sauce, they are a wonderful treat for the holidays! 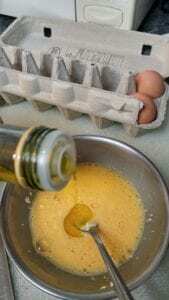 whisk egg yolks, heavy cream and sweetener into a small bowl. 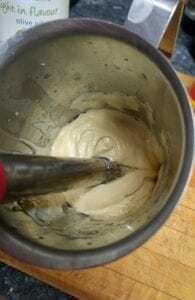 add mixture to top of double boiler and whisk constantly until mixture thickens and instant-read thermometer reaches 140º F for 3 minutes (makes it safe). 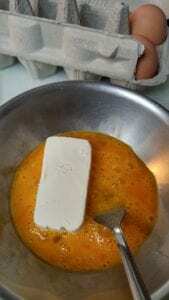 Mixture should be thick enough to coat the back of a spoon. 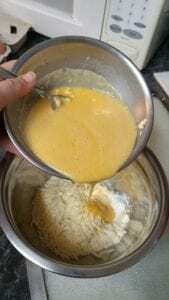 remove mixture from water and let cool. Serve warm or cooled. 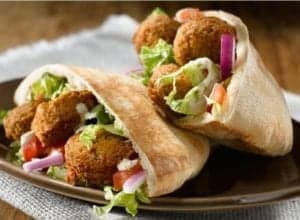 Falafel are the iconic ‘street food’ of Israel and elsewhere in the Middle East and are often eaten standing in front of the little shops that make them or sitting at picnic tables outside. Israeli Arabs and Jews often mingle at these little stands, enjoying their delectable, quick meal together. 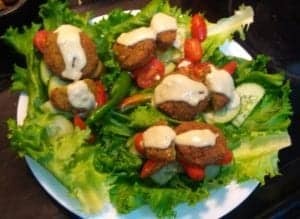 In this post, I’ll give you everything you need to know how to make delicious, authentic-tasting low carb falafel. For those unfamiliar with falafel, they are slightly “cone-shaped” balls of delicately spiced, ground chickpeas and/or fava beans that fried until their exterior is crispy, yet their interior remains moist, yet cooked. 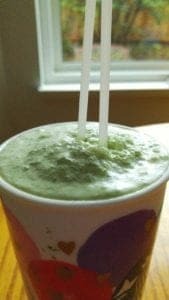 They are formed using a special falafel press, available in Middle Eastern stores or online, but a mini small ice-cream scoop could substitute, in a pinch. Usually, falafel are served in a split pita with pickles (cucumber and beet marinated turnip), tahina sauce, cut fresh vegetables and sometimes a drizzle of an aromatic hot sauce called ‘harissa’. 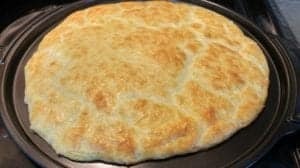 In my version, large washed and dried leaves from green leaf lettuce substitute for the pita and the mixture itself has the addition of ground, firm tofu to make it much lower carb! Since tofu is made from soya beans, its taste is indistinguishable in the aromatic mixture of spiced chickpeas and fava beans. 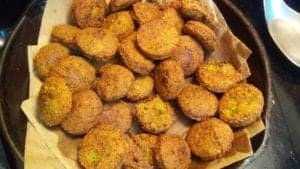 Another advantage to my recipe is that regular falafel require the addition of baking powder to make the texture light and soft inside, but this often leaves a slightly bitter aftertaste to the falafel. In these low-carb falafel, the ground tofu makes the addition of baking powder totally necessary. The texture is just perfect! 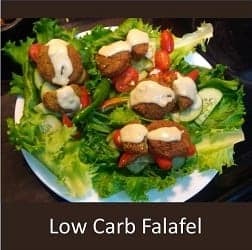 At only 2.5 gm net carbs per piece – and only 14 gm for the 4 falafel “sandwiches” below plus the carbs from the vegetables eaten, what’s not to love about these low carb high healthy fat falafel? Below is the recipe for this delectable treat! 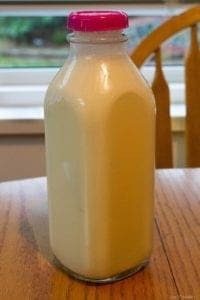 (1) This recipe works best when the mixture is made 1 day ahead and left to sit for a day in the fridge, covered. This way, the falafel don’t fall apart when frying! 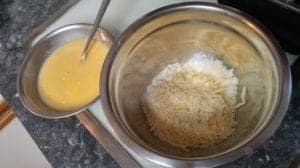 (2) I use a meat grinder attachment for a Kitchen-Aid stand mixture to grind mine, but a food-processor could work too provided the mixture is ground in small batches and remains course in texture. 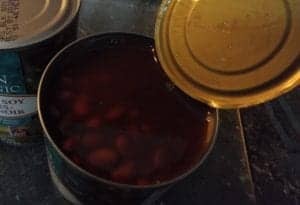 Put the chickpeas and fava beans in a large bowl and add enough cold water to cover them by at least 2 inches. Let soak overnight. When ready to prepare mixture the next day (a day or two before planning to make falafel), drain the soaked beans and rinse well with cold water. 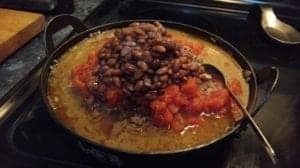 Put the drained, rinsed, uncooked chickpeas and fava beans though the meat grinder, being sure to use the smaller-holed press. Then, put through the extra firm tofu, onion, parsley, cilantro and garlic. 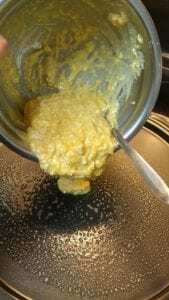 If using a food-processor, process until coarsely textured, but not pureed! Cover bowl and refrigerate, covered, until the next day. 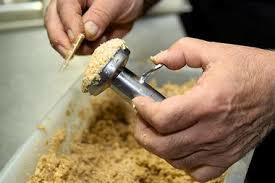 When ready to cook, form the chickpea mixture using a falafel press or by hand into balls about the size of walnuts. 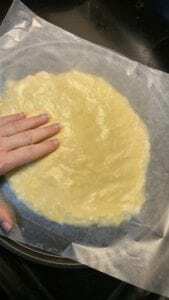 Form one side into a slight cone-shape (gives more surface area when frying!). 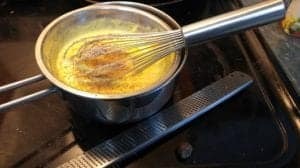 Heat 2 inches of coconut oil to 375° F degrees in a deep, heavy pot or wok and fry 1 ball to test. Once sure the oil is hot enough (not too hot, either!) fry 5 falafel at once for a few minutes on each side, or until golden brown. Drain on a layer of kraft paper lunch bags. Once all the falafel are cooked, assemble as desired, with vegetable of choice at the bottom, falafel on top and drizzle with tahina sauce, and harissa thinned with olive oil (if using). 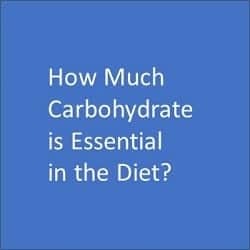 How Much Carbohydrate is Essential in the Diet? INTRODUCTION: I was asked a question recently on social media as to what is our body’s essential daily requirement for carbohydrate. This is a very good question – so much so, that I decided to answer it in the form of a short article. 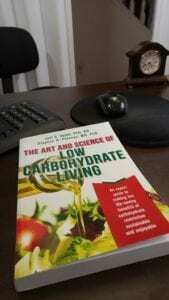 If you are considering a low carb high fat lifestyle, this is important to understand. Our body has an absolute requirement for specific essential nutrients; nutrients that we must take in our diet because we can’t synthesize them. What these nutrients are and how much we require depends on our age and stage of life, our gender and other factors and are listed in several volumes called the Dietary Reference Intakes (DRIs), published by National Academies Press. There are Dietary Reference Intakes for Energy, Carbohydrate, Fiber, Fat, Fatty Acids, Cholesterol, Protein and Amino Acids (2005), Dietary Reference Intakes for Calcium and Vitamin D (2011), Dietary Reference Intakes for Vitamin C, Vitamin E, Selenium, and Carotenoids (2000), Dietary Reference Intakes for Calcium, Phosphorus, Magnesium, Vitamin D, and Fluoride (1997), Dietary Reference Intakes for Water, Potassium, Sodium, Chloride, and Sulfate (2005), Dietary Reference Intakes for Thiamin, Riboflavin, Niacin, Vitamin B6, Folate, Vitamin B12, Pantothenic Acid, Biotin, and Choline (1998), Dietary Reference Intakes for Vitamin A, Vitamin K, Arsenic, Boron, Chromium, Copper, Iodine, Iron, Manganese, Molybdenum, Nickel, Silicon, Vanadium, and Zinc (2001). In these texts are listed the essential amino acids (histidine, isoleucine, leucine, lysine, methionine, phenylalanine, threonine, tryptophan, valine) that must be supplied in the different kinds of protein that we eat. These texts also establish that there are two essential fatty acids, linoleic (an omega 6 fat) and alpha-linolenic (an omega 3 fat) that can’t be synthesized by the body and must be obtained in the diet. There are 13 essential vitamins (vitamin A, vitamin B1 (thiamine), B2 (riboflavin), B3 (niacin), B5 (pantothenic acid), B6 (pyrodoxine), B12 (cyanocobalamine), biotin, vitamin C (ascorbic acid), choline, vitamin D (cholecalciferol), vitamin E (tocopherol) and folate) listed and essential minerals, including major minerals (calcium, phosphorus, potassium, sodium, chloride and magnesium) and minor minerals (chromium, cobalt, copper, fluorine, iodine, iron, manganese, molybdenum, selenium, silicon, sulfur and zinc). But is there “essential carbohydrate”? 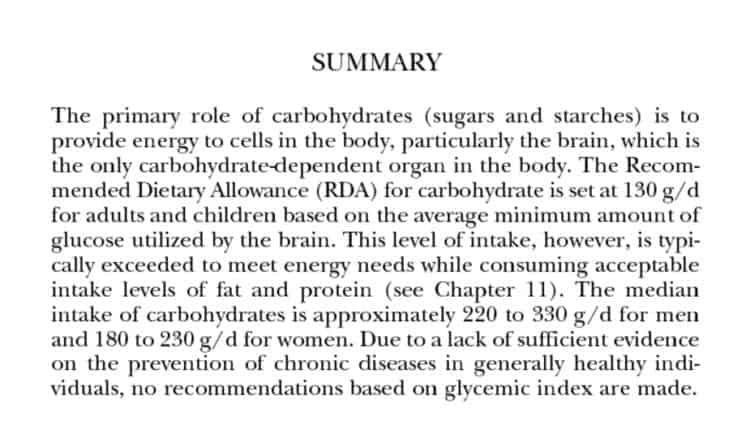 In Chapter 6 of the Dietary Reference Intakes for Energy, Carbohydrate, Fiber, Fat, Fatty Acids, Cholesterol, Protein and Amino Acids (2005) is the chapter titled “Dietary Carbohydrates: Sugars and Starches” (pg. 265), which indicates that the Recommended Dietary Allowance (RDA) for carbohydrate, considered to be the average minimum amount of glucose needed by the brain, is set at 130 g / day for adults and children. It is important to note that the Recommended Dietary Allowance (RDA) for carbohydrate is at 130 g / day based on the average minimum amount of glucose needed by the brain – with no consideration that the body can manufacture this glucose from both FAT and PROTEIN. 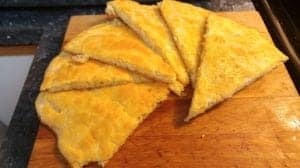 That is, there is no essential need for dietary carbohydrate, provided that “adequate amounts of protein and fat are consumed”. 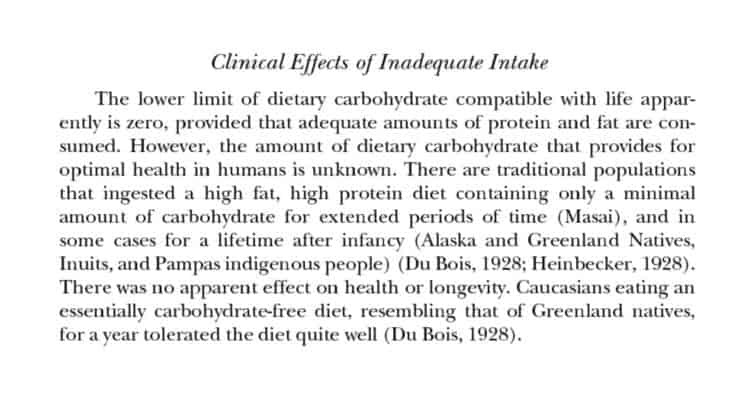 The text goes on to say that there are traditional civilizations such as the Masai, the Greenland and Alaskan Inuit and Pampas indigenous people that survive on a “minimal amount of carbohydrate for extended periods of time with no apparent effect on health or longevity“, and that white people (Caucasians) eating an essentially carbohydrate-free diet resembling that of the Greenland natives were able to do so for a year, without issue. That is, the minimum amount of dietary carbohydrate required is zero provided that adequate amounts of protein and fat are consumed. Phrased another way, the “minimum amount of glucose needed by the brain of 130 g / day is made by the body from protein and fat provided they are eaten in adequate amounts. That is, even when minimal amounts of carbohydrate is eaten (not something I promote), the body will synthesize the glucose needed by the brain from the protein taken in through the diet (provided it is in adequate amounts) or from glycerol which is formed when fat is broken down. If the protein in the diet (exogenous protein) is inadequate however, the body’s own protein (endogenous protein) will be used. 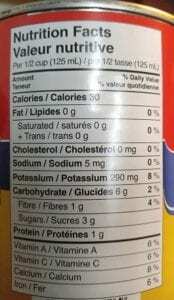 So, no, there isn’t any “essential carbohydrate” requirement. Even when a person is completely fasting (religious reasons, medically supervised, etc.) the 130 g / day of glucose needed by the brain is made from endogenous protein and fat. When people are “fasting” the 12 hour period from the end of supper the night before until breakfast (“break the fast”) the next day, their brain is supplied with essential glucose! Otherwise, sleeping could be dangerous. In previous articles reviewing long-term studies of low carbohydrate diets, safety and efficacy has been established with intakes as low as 20 gm of carbs for 12 weeks and 35 gm of carbohydrate per day for extended periods of time, provided adequate protein and fat is eaten. I am of the opinion that in order to have a diet with the essential vitamins, minerals, amino acids and fatty acids, that a wide range of healthy foods with some carbohydrate content is required. I encourage people to consume low carb fruit and dairy products and nuts and seeds, along with a wide range of meat, fish and poultry, eggs and even tofu, if desired. I design each person’s Meal Plan to meet their individual requirements, lifestyle as well as the foods they like and take into consideration whether they like to cook or prefer meals with the minimum of preparation required. Please send me a note using the “Contact Me” located on the tab above and I will reply soon. INTRODUCTION: To date, there have been 3 long-term clinical trials (2 years) published over the past 10 years involving “low carb diets”. In this post I review the third study which compares the effects of a low fat calorie restricted diet compared with a low carbohydrate diet and finding significantly better lipids at 1 year, before carbs were liberalized. The purpose of this randomized, controlled trial was to evaluate the long-term (2-year) effects of treatment with either a low-carbohydrate or low-fat, calorie-restricted diet on weight, cardiovascular risk factors, and bone mineral density — with the primary outcome being weight loss at 2 years. All participants received comprehensive behavioral treatment to enhance weight loss associated with both diets and assessments were conducted at baseline, 3 months, 6 months, 12 and 24 months. Primary inclusion criteria were age of 18 to 65 years, Body Mass Index (BMI) of 30 to 40 kg/ (m) x (m) and body weight less than 136 kg (300 pounds). Exclusion criteria were participants with serious medical illnesses such as Type 2 Diabetes, lipid-lowering medications for dyspidemia, medications that affect body weight (including anti-obesity agents), blood pressures of 140/90 mm Hg or more (regardless of whether it was treated), and pregnancy or lactation. A total of 307 adults (208 women and 99 men) with a mean age of 45.5 years and a mean Body Mass Index of 36.1 kg /(m) x (m) participated in this study. Most (74.9%) participants were white; 22.1% were African American and 3% were of other race or ethnicity. After a scripted phone screening, eligible participants attended an in-person screening during which the study’s purpose and requirements were discussed, eligibility confirmed and written informed consent was obtained. Using a random-number generator, researchers randomly assigned participants (within each of 3 sites) to either a low carbohydrate treatment for 2 years, or a low fat calorie restricted diet for 2 years. All participants completed a comprehensive medical examination and routine blood tests. There were no statistically significant differences between the two diet groups in any baseline variables. The study, including recruitment and enrollment took place from March 2003 to June 2007. Approximately half of the participants (n = 153) were assigned to a low carbohydrate diet, which limited carbohydrate intake but allowed unrestricted consumption of fat and protein. During the first 12 weeks of treatment, participants were instructed to limit carbohydrate intake to 20 g / day in the form of low–glycemic index vegetables. After the first 12 weeks, participants gradually increased carbohydrate intake each week by 5 g / day per week by consuming more vegetables, a limited amount of fruits, small quantities of whole grains and dairy products, until a stable and desired weight was achieved. Subjects followed the guidelines outlined in Dr. Atkins’ New Diet Revolution, but were not provided with a copy of the book. Participants were instructed to focus on limiting carbohydrate intake and to eat foods rich in fat and protein until they were satisfied. The primary behavioral target was to limit carbohydrate intake. Approximately half of the participants (n= 154) were assigned to eat a low fat diet which limited energy to 1200 to 1500 kcal / day for women and 1500 to 1800 kcal / day for men. Approximately 55% of calories came from carbohydrate, 30% from fat and 15% from protein (comparable to the recommendations of Canada’s Food Guide for Healthy Living). Participants were instructed to limit calorie intake, with a focus on decreasing fat intake, however limiting overall energy intake (kcal / day) was the primary behavioral target. All participants received comprehensive, in-person group behavioral treatment weekly for 20 weeks, every other week for 20 weeks and then every other month for the remainder of the 2-year study period. Each treatment session lasted 75 to 90 minutes. Topics included self-monitoring, stimulus control and relapse management. Group sessions reviewed participants’ completion of their eating and activity records, as well as other skill builders. Participants in both groups were instructed to take a daily multivitamin supplement (provided by the study). All participants were prescribed the same level of physical activity (mainly walking), beginning at week 4, with four sessions of 20 minutes each and progressing by week 19 to four sessions of 50 minutes each. Body Weight— measured at each treatment visit on calibrated scales while participants wore light clothing and no shoes. The primary outcome was weight at 2 years. Height — measured by a stadiometer at baseline. lipoprotein (LDL) cholesterol concentrations were directly measured by β-quantification. Blood samples were obtained after participants fasted overnight (12 hours). pressure were obtained, separated by a 1-minute rest period with the average of the two readings used. Urine Ketones— Bayer Ketostix were used to measure fasting urinary ketones and were characterized as negative (0 mg/dL) or positive (trace, 5 mg/dL; small, 15 mg/dL; moderate, 40 mg/dL; or large, 80 to 160 mg/dL). Bone Mineral Density and Body Composition (percentage of body fat)—assessed using dual-energy x-ray absorptiometry at baseline and at 6, 12 and 24 months. Attrition—There were no statistically significant differences between the two groups in terms of attrition; defined as not undergoing an assessment at a specific time point, independent of the reason. Body Weight— participants in both groups lost approximately 11% of initial weight at 6 and 12 months, with subsequent weight regain to a 7% weight loss at 2 years . There was no statistically significant differences in weight loss at any time point between the low carbohydrate and low-fat calorie restricted groups, although there was a strong trend for greater weight loss in the low-carbohydrate group at 3 months. Urinary Ketones—percentage of participants who had positive test results for urinary ketones was greater in the low carbohydrate than in the low fat calorie restricted group at 3 months (63% vs. 20%) and at 6 months (28% vs. 9%). Researchers found no statistically significant differences between groups after 6 months and they noted that the decrease from 3 to 24 months is consistent with liberalization of carbohydrate intake over time, as part of the study protocol. Blood Pressure—Systolic blood pressure decreased with weight loss in both diet groups relative to baseline and did not significantly differ between groups at any time. Reductions in diastolic pressure were significantly greater (2 to 3 mm Hg) in the low carbohydrate than in the low-fat group at 3 and 6 months with a strong trend at 24 months. Plasma Lipid Concentrations—Most of the differences in plasma lipid concentrations between the two groups were observed during the first 6 months of the diets. LDL cholesterol: Researchers found a significantly greater decrease in LDL cholesterol levels at 3 and 6 months in the low-fat calorie restricted group than in the low carbohydrate group, but this difference did not persist at 12 or 24 months. There may be reasons for this, discussed below. Triglyceride levels: Decreases in triglyceride levels were greater in the low-carbohydrate group than in the low-fat calorie restricted group at 3 and 6 months, but not at 12 or 24 months. VLDL cholesterol: Decreases in VLDL cholesterol levels were significantly greater in the low-carbohydrate group than in the low-fat calorie restricted group at 3, 6, and 12 months but not at 24 months. HDL cholesterol: Increases in HDL cholesterol levels were significantly greater in the low-carbohydrate group than in the low-fat calorie restricted group at 3, 6, 12 and 24 months. Total-cholesterol : HDL cholesterol: The ratio of total-cholesterol to HDL cholesterol levels decreased significantly in both groups through 24 months but did not significantly differ between groups at any time. There was a trend for greater reductions in the low-carbohydrate group at 6 months and 12 months. The only effect on plasma lipid concentrations that persisted at 2 years was the significantly greater increases in HDL cholesterol levels among low-carbohydrate participants. Researchers found no differences between the two groups in changes in bone mineral density or body composition over 2 years. can be used to achieve successful long-term weight loss. if coupled with behavioral treatment. than a low-fat calorie restricted diet. While researchers found a significantly greater decrease in LDL cholesterol levels at 3 and 6 months in the low-fat calorie restricted group than in the low-carbohydrate group, this difference did not persist at 12 or 24 months. Researchers concluded that since assessment of LDL cholesterol concentration was without information on LDL particle size, no information was obtained in terms of coronary heart disease risk (small, dense LDL particles are more atherogenic than large LDL particles). group, such that the two groups did not differ significantly at 2 years. The greater decline in directly measured VLDL cholesterol concentration in the low-carbohydrate at 3, 6, and 12 months was not sustained at 2 years. Researchers found no significant differences between the two groups in VLDL cholesterol. Researchers concluded that the close relationship and tracking between fasting plasma triglyceride concentrations (which are primarily contained within VLDL) and VLDL cholesterol concentrations supports a model in which during the first year of the study the low-carbohydrate diet (a) decreased hepatic VLDL secretion, (b) enhanced VLDL clearance, or both when compared with the low-fat calorie restricted diet. effective HDL-raising pharmacologic intervention that was available at the time of the study (2010). This 2-year, randomized control study of more than 300 participants found that both diet groups achieved clinically significant and nearly identical weight loss (11% at 6 months and 7% at 24 months) and that people who ate the low-carbohydrate diet had greater 24-month increases in HDL-cholesterol concentrations than those who ate a low-fat calorie restricted diet. As well, an significant finding of this study was a very favourable lowering of LDL for the first 6 months and lowering of both TG and VLDL for the first year. It is unknown whether these results would have persisted and been sustained had the low carb group not been permitted to liberalize their diet by the inclusion of fruit, dairy and small amounts of grain products, once they achieved their desired weight loss. These long-term data certainly provide evidence that a low-carbohydrate diet is both a safe and effective option for weight loss and that this style of eating has a prolonged, positive effect on lipid profiles – certainly while intake of carb-containing foods are restricted. INTRODUCTION – In Part I of this two-part series, I explained how the current dietary recommendations and popular beliefs about weight gain have inadvertently contributed to many of the health problems we now face. If you haven’t yet read the first part, you can read it here and then follow the link back to continue reading this article. 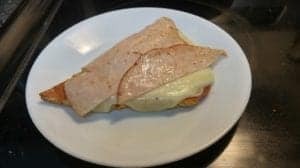 In this post, I point to some previously written articles posted on this site to explain what a Low Carb High Fat style of eating is and how it serves as a solution to the problems outlined in the previous article. What exactly is a Low Carb High Fat Diet? This article explains the fundamental information people want to know about which food categories they can eat, such as non-starchy vegetables, plant fat, low sugar fruit, meat fish poultry and seafood, animal fat and unsweetened beverages). 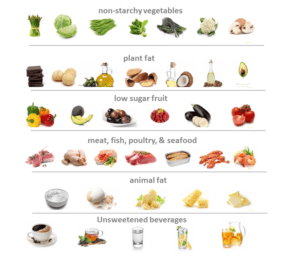 There is also a simple illustration of the food categories in a low carb lifestyle, indicating the types of food in each category. This dispels the myth that eating LCHF is in anyway a ‘restricted diet’. 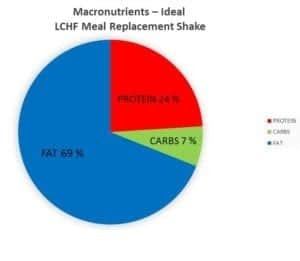 This post also explains what macronutrients are and what the ratios of protein, fat and carbohydrate are on a LCHF diet. 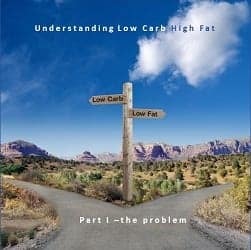 It is a basic primer about the Low Carb High Fat lifestyle. People sometimes refer to a “low carb diet” as if it were a single entity, but there are many types of low carb diets ranging from moderate low carb (130 g carbs) to ketogenic diets (5-10% net carbs). 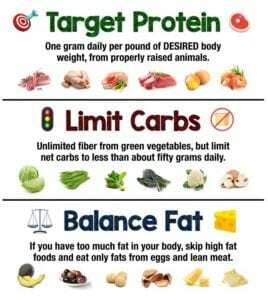 Even amongst low carb or ketogenic diets, there are low carb high fat diets, low carb high protein diets as well as Low Carb High Protein in weight loss and High Carb High fat in maintenance. This article titled American Diabetes Association Approves Low Carb Diets for Weight Loss explains the basics of a moderate low carb diets (130 g carbs) which is approved by the American Diabetic Association as a weight-loss option for Diabetics. Many people believe that saturated fat is “bad” for them but few realize that our bodies actually manufacture it. 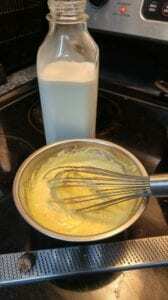 This article titled The “Skinny” on Fats explains the principles of fats while explaining the chemistry in simple terms that those with a non-science background can understand. These ‘basics’ enable people to understand the controversy around saturated fat and to be able to talk about them with family members, friends, and their healthcare professionals. People are used to thinking about food in terms of its ability to provide energy for their body but many don’t realize that their bodies can be fuelled by either carbohydrates or fat. 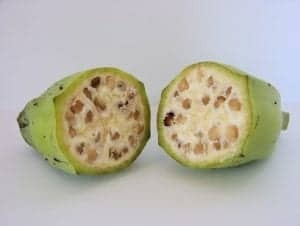 This article titled Humans – the perfect hybrid machine explains how in times past it was perfectly normal for us to experience a cycle of “feasting” and “fasting” – running on our own fat stores during the times between eating and how currently, we rarely are able to access our own fat stores, because of the constant supply of carbohydrate-rich food. 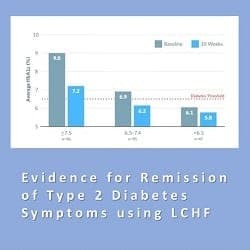 This article, titled Evidence for Remission of Type 2 Diabetes Symptoms using LCHF begins with a brief history of the Low Carb Diet and its role the primary approach to managing Diabetes prior to the discovery of insulin. It also talks about its role in managing seizure disorder and outlines how a Low Carb approach was central to the very first weight loss diet book written ~150 years ago. 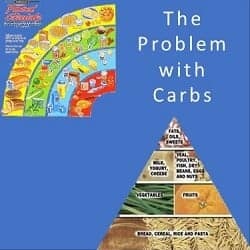 It mentions the “Atkins Diet” which first came on the scene in the early 1970s and then introduces the research of Stephen Phinney (a medical doctor and PhD research scientist) and Jeff Volek, a Registered Dietitian with PhD whose work centers on using a low carb diet as a therapeutic tool for managing insulin resistance. It presents the findings of Phinney and Volek’s most recent study which demonstrates that after 6 months following a low carb diet >75% of people in this study had HbA1c that was no longer in the Diabetic range (6.5%). It provides some evidence that yes, the symptoms of Type 2 Diabetes can to go into remission by following a Low Carb lifestyle. Finally, the last article titled Are Low Carbohydrate Diets Safe and Effective provides compelling evidence from a two-year study which found that compared to a Mediterranean Diet and Low Fat diet, weight loss was greatest in those that followed a Low Carb diet. Of significance, subjects in in the LCHF group in this study also had lower fasting plasma glucose, lower HbA1C, significantly lower triglycerides, significantly higher HDL and lower C-reactive protein . Want to know how I can help you adopt a low carb lifestyle? 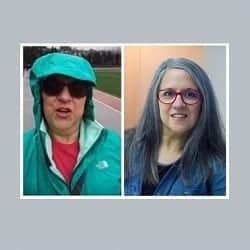 I provide LCHF in-person services to those in the Greater Vancouver BC area and LCHF Distance Consultation services to those living elsewhere in the province, or from other provinces and territories in Canada. Please have a look at the “My Services” tab above for a list of the LCHF services that I provide. Have questions? Please send me a note using the “Contact Me” form located on the tab above. 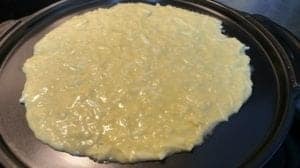 INTRODUCTION – If you are one of those that is considering adopting a low carb high fat lifestyle and want to understand the reasons behind ‘why’, this post is for you. It will guide you through a handful of previously written articles on this site so that you’ll understand how the current dietary recommendations and popular beliefs about weight gain have inadvertently contributed to many of the health problems we now face. As in anything, before considering a solution to a problem, we first need to understand the problem. In 1977, the US and Canada changed their Dietary Recommendations encouraging us to eat 45-65% of daily calories as carbohydrate and to limit all kinds of fat to 20-35%. Of relevance, in the early 1970s, prior to these changes only ~8% of men and ~12% of women were obese – and now almost 22% of men and 19% of women are obese. The article titled Obesity Rates in Canada and Changes to Canada’s Food Guide will walk you through the changing recommendations of Canada’s Food Guide (CFG) over the years, as well as the corresponding and simultaneous increase in the rates of overweight and obesity. Unfortunately the dietary changes of 1977 have given us 40 years of data showing ever-increasing rates of obesity, overweight and Diabetes. It is quite literally an “epidemiological* experiment gone wrong”. 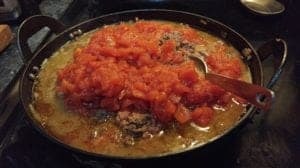 This article titled Canada’s Food Guide – an Epidemiological Experiment Gone Terribly Wrong will help you understand some of the shortcomings of the guide, as it stands now. *Epidemiology is the study and analysis of the patterns, causes, and effects of health and disease in populations. We’ve been told for years that the problem is that we “just need to eat less and exercise more“. If it were really that simple then 4.7 million adults in Canada wouldn’t be classified as obese and more than 40% of men and 27% of women classified as overweight. This article titled Why do we Gain Weight – the Myth of “Calories in, Calories out” will explain why this model doesn’t work. We’ve also been told that people are overweight because “they lack self control” but this article titled Weight Gain as a Hormone Imbalance not a Calorie Imbalance explains how body weight is regulated automatically under the influence of hormones – hormones that signal us to eat and indicate when we are satiated. These hormones also signal our bodies to increase energy expenditure and when calories are restricted, they will slow energy expenditure. It’s not a matter of people “trying harder” but eating in such a way as to regulate these hormones. 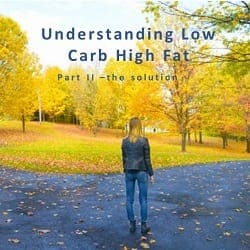 In Part II titled Understanding Low Carb High Fat – the solution, I explain what a Low Carb High Fat style of eating is and how it serves as a solution to the health problems we now face. INTRODUCTION: To date, there have been 3 long-term clinical trials (2 years) published over the past 10 years involving “low carb diets”. The first long-term study that was presented in the previous article (which can be read here) clearly demonstrated that a low carb non–calorie-restricted diet was both safe and effective and produced the greatest weight loss, lower FBS and HbA1C, the most significantly lower TG and higher HDL and lower C-reactive protein (when compared with a low-fat calorie-restricted diet and a Mediterranean calorie-restricted diet). 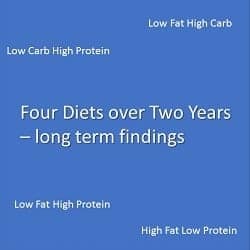 In this, the second of the three long term studies, researchers looked at the effectiveness of four dietary interventions with different composition of fat, protein and carbohydrate – including one “low carb” diet..
Did this study demonstrate that a “low carb” diet was safe and effective to result in weight loss? This study involved over 800 overweight and obese subjects, of which 40% were men. Subjects were between the ages of 30 and 70 years and had a Body Mass Index (BMI) of 25-40, where BMI is the weight in kilograms divided by the square of the height in meters. Major criteria for exclusion from this study were the presence of Diabetes or unstable cardiovascular disease, the use of medications that affect body weight and insufficient motivation as assessed by interview and questionnaire. Of the 811 subjects that began the study, at the end of two years, 645 subjects remained enrolled. Approximately 80% of the participants were white, 15% black, 4% Hispanic and the remaining 1% Asian. The researchers stated that “two diets were low-fat and two were high-fat”, but it is important to note that none of the diets were “low carb high fat”/ ketogenic diets, which are ≥ 65% fat (not 40% fat). Two of the diets were higher in fat than the recommended dietary intake (in both the US and Canada). The researchers said that “two diets were average protein and two were high protein” and while the ‘average protein intake’ in the US in 2008 was ~15% (16.1% for men and 15.6% for women), diets such as two of the ones in this study that have only 25% protein are really at the very lowest range of what are considered high-protein diets – which normally contain between 27 – 68 % protein. 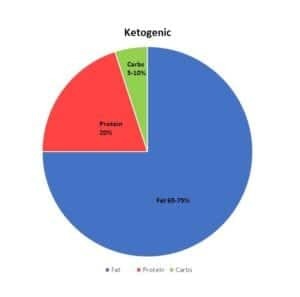 Also important to note, a “low carb high fat”/ ketogenic diet usually has ~20% protein (considered ‘moderate protein’) and are not high protein diets. The first and second dietary interventions would both be considered high carb, as they fall within the range of the dietary recommendations in both Canada and the USA, 45-65% carbohydrate, with one being higher protein and one being average protein. The third diet would be consider “moderate carb” according to Diabetes Canada’s standards, at 45 % carbohydrate, and higher fat and higher protein. The fourth diet could be considered ‘low-carb’ at 35% carbohydrate, but it is not a ketogenic diet, as the percent of carbohydrate is too high. 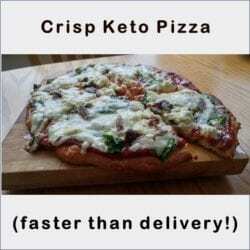 A ketogenic diet has between 5-10% carbohydrate. It was not a “high fat diet”, as the fat is only 40%, not ≥ 65% fat. None of the dietary interventions in this study was ‘low-carb high fat’ or ketogenic, however one diet was “low carb”. from baseline, as calculated from the person’s resting energy expenditure and activity level (which should have promoted a weight loss of ~ 1.5 pounds per week). Blinding between the groups was maintained by the use of similar foods in each of the dietary interventions. Staff as well as participants were taught that each diet adhered to principles of a “healthful diet” and that each had been recommended for “long-term weight loss”. Group dietary counselling sessions were held once a week, 3 of every 4 weeks during the first 6 months and 2 of every 4 weeks from 6 months to 2 years; individual sessions were held every 8 weeks for the entire 2 years. Behavioral counseling was integrated into the group and individual sessions to promote adherence to the assigned dietary intervention. Participants were instructed to record their food and beverage intake in a daily food diary and in a web-based self-monitoring tool that provided information on how closely their daily food intake met their dietary intervention’s goals for macronutrients and calories. day at 12 and 18 months. Levels of serum lipids, glucose, insulin, and glycated hemoglobin (HbA1C) were measured via fasting blood samples, and 24-hour urine samples, and measurement of resting metabolic rate were obtained on 1 day, and blood-pressure measurement on 2 days, at baseline, 6 months and 2 years. The amount of weight loss after 2 years was similar in participants assigned to a diet with 25% protein and those assigned to a diet with 15% protein. Weight loss was the same in those assigned to a diet with 40% fat and those assigned to a diet with 20% fat. There was no effect on weight loss of carbohydrate level through the target range of 35 to 65%. Most of the weight loss occurred in the first 6 months, however 23% of the participants continued to lose weight from 6 months to 2 years. The change in waist circumference did not differ significantly among the diet groups. At 2 years, 31 to 37% of the participants had lost at least 5% of their initial body weight, 14 to 15% of the participants in each diet group had lost at least 10% of their initial weight, and 2 to 4% had lost 20 kg or more. All the diets reduced risk factors for cardiovascular disease and Diabetes at 6 months and 2 years. 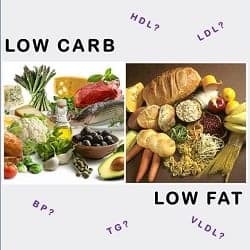 At 2 years, the two low-fat diets and the highest-carbohydrate diet decreased low-density lipoprotein (LDL) cholesterol levels more than did the high-fat diets or the lowest-carbohydrate diet, 5% vs 1%. And at 2 years, the highest carbohydrate decreased LDL more (6%) versus the lowest carbohydrate diet (1%). The lowest-carbohydrate diet increased HDL cholesterol levels more (9%) compared with the highest-carbohydrate diet (6%). All the diets decreased triglyceride (TG) levels similarly, by 12 to 17%. the high-protein diet than with the average-protein diet (10% vs. 4%). Blood pressure decreased from baseline by 1 to 2 mm Hg, with no significant differences among the groups. 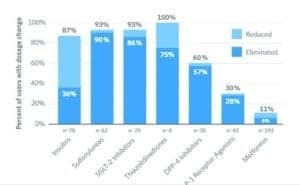 The metabolic syndrome (defined as elevated fasting blood glucose, elevated blood pressure and abnormal triglycerides or cholesterol levels) was present in 32% of the participants at baseline, and the percentage at 2 years ranged from 19 to 22% in the four diet groups. Mean reported intakes at 6 months and at 2 years were not at the target levels for macronutrients (fat, protein and carbohydrate). This limits the applicability of the data. In the Low Fat, Average Protein group (fat: 20%, protein: 15%, carbohydrate: 65%), carbohydrate intake decreased from baseline by 12.8% and by 9.3% from baseline at 2 years and fat intake decreased from baseline by 11.8% at 6 months and 12.0% at two years. As it should have, protein intake hardly changed at 6 months (0.2%) but by 2 years it had increased by 2.1% to 19.6%. In the Low Fat, High Protein group (fat: 20%, protein: 25%, carbohydrate: 55%) at 6 months carbohydrate intake decreased from baseline by 7.4% and at 2 years, it decreased from baseline by 6.8%. Protein intake increased from baseline by 3.9% at 2 years it had increased by 2.5% – but it is important to note that such a modest increase meant that this group did not consume a diet of 25% protein (but slightly less than 19% at 6 months and 17.5% at 2 years). Fat intake decreased from baseline by 11.8% at 6 months and 12.0% at two years. In the High Fat, Average Protein group (fat: 40%, protein: 15% carbohydrate: 45%), at 6 months carbohydrate intake decreased from baseline by 5.0% and at 2 years, it decreased from baseline by 2.4%. Protein intake hardly increased from baseline at 6 months (0.5%), but at 2 years it had increased from baseline by 2.1%. Fat intake in this group was supposed to have increased, but actually decreased from baseline by 3.8% at 6 months and decreased from baseline by 2.1% at two years. In the High Fat, High Protein group (fat: 40%, protein: 25%, carbohydrate: 35%) – which was the only intervention that was “low carb”, at 6 months carbohydrate intake only decreased from baseline by 0.2% and at 2 years, it decreased from baseline by 0.4%. In fact, carbohydrate remained at ~ 43% the entire time. Protein intake was supposed to increase substantially, but only increased from baseline by 4.3%, and at 2 years it had had only increased from baseline by 3.4%. It is important to note that such a modest increase in protein meant that this group did not consume a diet of 25% protein but ~19.3 % at 6 months and ~18.4% at 2 years. Fat intake in this group was supposed to have increased, but actually decreased from baseline by 3.7% at 6 months and decreased from baseline by 3.4% at two years. Neither of the “high protein” groups achieved anywhere near 25% of daily calories as protein. Despite the intensive behavioral counseling in this study, participants did not achieve the goals for macronutrient intake of their assigned group and while some data in this study is helpful, the one group that was supposed to be “low carb” (high fat, high protein) was none of those! 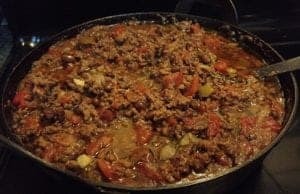 The reason that this study failed to confirm whether a high protein diet causes increased weight loss at 6 months is because neither of the two “high protein” diet groups in this study ate anywhere near the target protein level of 25%, but rather ate between 17.5%-19% protein, which is remarkably close to the average protein intake of 15% (16.1% for men and 15.6% for women). Subjects also ate no where near the lower limits of a “high protein” diet, which is 27-68% of daily calories as protein. The reason that this study failed to confirm that a low carbohydrate diet causes increased weight loss is because the one group of the four diet interventions that was supposed to eat what the researchers defined as “low carb” (35% of calories as carbohydrate) ate ~43% of calories as carbohydrate the entire duration of the study. 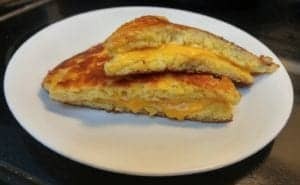 This as a moderate carb diet, not a low carb diet. In this long term study, researchers set out to look at the effectiveness of four dietary interventions including a “low carb” diet group, however poor study design failed to produce even one of the four groups that ate low carb. INTRODUCTION: In a recent article, I established that low carbohydrate diets are not new and that recently published six-month results of a non-randomized, parallel arm, outpatient intervention demonstrated it was so effective at improving blood sugar control in Type 2 Diabetes, that at the end of six months >75% of people had HbA1c that was no longer in the Diabetic range (6.5%). But what about the long term safety and effectiveness of low carb diets? To date, there have been 3 long-term clinical trials (2 years) published over the past 10 years that included a low-carbohydrate treatment group and in this series of three articles, I will look at the methodology and findings of each. The first study published in 2008, with research conducted between July 2005 and June 2007 was a 2-year Dietary Intervention Randomized Controlled Trial (DIRECT) to compare the effectiveness and safety of (1) a low-fat calorie-restricted diet, (2) a Mediterranean calorie-restricted diet and (3) a low-carbohydrate non–calorie-restricted diet. The criteria for recruitment to the study was age between 40 and 65 years and a body-mass index (BMI) – which is the weight in kilograms divided by the square of the height in meters of at least 27, or the presence of Type 2 Diabetes (according to the American Diabetes Association criteria) or coronary heart disease regardless of age and BMI. Subjects were randomly assigned within strata i.e. gender, age (below or above the median), BMI (below or above the median), history of coronary heart disease (yes or no), history of Type 2 Diabetes (yes or no), and current use of statins (none, <1 year, or ≥1 year). Subjects in each of the 3 diet groups were assigned to subgroups of ~18 participants (total of 6 subgroups in each group) and each diet group was assigned a Registered Dietitian that met with their groups in weeks 1, 3, 5, and 7 and after that at 6-week intervals, for a total of 18 sessions of 90 minutes each. Low Fat Diet– Participants were counseled to consume low-fat grains, vegetables, fruits, and legumes and to limit added fats, sweets, and high-fat snacks. For the low-fat, restricted-calorie diet they were instructed to consume up to 30% of calories from fat, 10% from saturated fat and up to 300 mg cholesterol/day, with 1500 kcal for women and 1800 kcal/day for men. 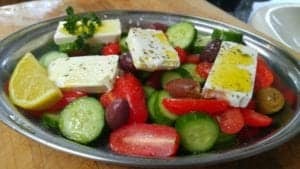 Mediterranean Diet– The moderate-fat, calorie-restricted diet is rich in vegetables and low in meat, with poultry and fish replacing beef and lamb. Subjects were instructed to consume 35% of calories from fat; the main sources of added fat were from 30-45 grams of olive oil and a handful of nuts (5-7, less than 20 grams) per day. Subjects were instructed to restrict energy to 1500 kcal for women and 1800 kcal/day for men. 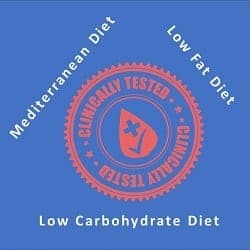 Low Carbohydrate Diet- This low-carb, non-calorie restricted diet was modeled after the Dr. Atkins Diet and aimed to provide 20 g/day of carbohydrates during the induction phase (first 2 months), and returned to this level of carb restriction after each religious holiday. At other times participants were instructed to increase carbs gradually up to maximum of 120 g/day to maintain the weight loss. Total calories, protein and fat intake from any source (except trans fats) were not limited. Adherence to the diets was evaluated by a validated food-frequency questionnaire (127 food items with portion-size pictures) at baseline and at 6, 12, and 24 months of follow-up, and the questionnaires were self-administered electronically. A validated questionnaire was also used to assess physical activity. Weight – The participants were weighed without shoes to the nearest 0.1 kg every month. Blood Samples – Blood samples were obtained by at 8 a.m. after a 12-hour fast at baseline and at 6, 12, and 24 months. At baseline, there were no significant differences in the composition of the diets consumed by participants assigned to the low-fat, Mediterranean, and low-carbohydrate diets. Daily energy intake as assessed by the food-frequency questionnaire, decreased significantly at 6, 12, and 24 months in all diet groups as compared with baseline and there were no significant differences among the groups in the amount of decrease. The low-carbohydrate group had a lower intake of carbohydrates and higher intakes of protein, total fat, saturated fat, and total cholesterol than the other groups. The Mediterranean-diet group had a higher ratio of monounsaturated to saturated fat than the other groups, and a higher intake of dietary fiber than the low-carbohydrate group. The low-fat group had a lower intake of saturated fat than the low-carbohydrate group. Physical Activity – The amount of physical activity increased significantly from baseline in all groups, with no significant difference among groups in the amount of increase. Urinary Ketone Production – The proportion of participants with detectable urinary ketones at 24 months was higher in the low-carbohydrate group (8.3%) than in the low-fat group (4.8%) or the Mediterranean-diet group (2.8%). Note: of interest, participants in all groups produce urinary ketones. A phase of maximum weight loss occurred from 1 to 6 months and a maintenance phase from 7 to 24 months. All groups lost weight, but the reductions were greater in the low-carbohydrate and the Mediterranean-diet groups than in the low-fat group. −2.9 (6.38 lbs) ±4.2 kg (± 9.24 lbs) for the low-fat group. HDL cholesterol increased during the weight-loss and maintenance phases in all groups, with the greatest increase in the low-carbohydrate group (0.22 mmol per liter (8.4 mg per deciliter) compared to the low-fat group which increased by 0.16 mmol per liter (6.3 mg per deciliter). Triglyceride levels decreased significantly in the low-carbohydrate group 0.27 mmol per liter (23.7 mg per deciliter) as compared with the low-fat group 0.03 mmol per liter (2.7 mg per deciliter). Of significance, LDL cholesterol levels did not change significantly within any of the groups, and there were no significant differences between the groups in the amount of change. Overall, the ratio of total cholesterol to HDL cholesterol decreased during both the weight-loss and the maintenance phases. The low-carbohydrate group had the greatest improvement, with a relative decrease of 20% as compared with a decrease of 12% in the low-fat group. The level of high-sensitivity C-reactive protein (an assessor of inflammation often used to may be used to evaluate risk of cardiovascular disease.) decreased significantly in the low-carbohydrate group (29%), and also in the Mediterranean-diet group (21%) during both the weight-loss and the maintenance phases, with no significant differences among the groups in the amount of decrease. The level of high-molecular-weight adiponectin (which regulates glucose levels, as well as fatty acid breakdown) increased significantly in all diet groups, with no significant differences among the groups in the amount of increase. Circulating leptin, which reflects body-fat mass, decreased significantly in all diet groups, with no significant differences among the groups in the amount of decrease. Among the 36 participants with Type 2 Diabetes, those in the Mediterranean diet group and low carb diet group had a decrease in fasting plasma glucose levels of 2.1 mmol/L (32.8 mg per deciliter) and 0.1 mmol/L (1.2 mg/dl) respectively, whereas those in the low-fat group had an increase 0.7 mmol/L (12.1 mg/dl). There was no significant change in fasting plasma glucose level among the participants without Type 2 Diabetes. Insulin levels decreased significantly in participants with Type 2 Diabetes and without Type 2 Diabetes in all diet groups, with no significant differences among groups in the amount of decrease. Not surprisingly, since HOMA-IR is determined from fasting blood glucose and fasting insulin, among subjects with Type 2 Diabetes the decrease in HOMA-IR at 24 months was significantly greater in those assigned to the Mediterranean diet (-2.3) and low carbohydrate diet (-1.0) than in those assigned to the low-fat diet (-0.3). Among the participants with with Type 2 Diabetes HbA1C at 24 months decreased most noticeably in the low-carbohydrate group (0.9 ±0.8%), and moderately in the Mediterranean-diet group (0.5 ±1.1%) and low-fat group (0.4 ±1.3%). The changes were significant only in the low-carbohydrate group. In this 2-year dietary-intervention study, the low-carbohydrate diets was found to be both an effective and safe alternative to the low-fat diet for weight loss. These results suggest that a low carbohydrate, non-calorie restricted diet that provides 20 g of carbs per day during the induction phase of 2 months, with slightly higher amounts of carbohydrates with the addition of nuts, low-carb vegetables and small amounts of fruit until goal weight is achieved (~30-50 g carbs) is both safe and effective over a two-year period. Astrup A et al, Weight loss with a low-carbohydrate, Mediterranean, or low-fat diet. N Engl J Med. 2008 Nov 13;359(20):2169-70. Note: Everyone’s results following a LCHF lifestyle will differ as there is no one-size-fits-all approach and everybody’s nutritional needs and health status is different. If you want to adopt this kind of lifestyle, please discuss it with your doctor, first. If you are taking medication to lower blood sugar or blood pressure, you should be monitored by your physician while following a low carb diet, as medication dosages will need to be adjusted – often soon after beginning. INTRODUCTION: A low carbohydrate, high fat diet is not new, in fact eating this way was the standard recommendation for treating Diabetes prior to the discovery of insulin. More than 150 years ago, the first weight-loss diet book, written by William Banting, ironically a distant relative of Sir Frederick Banting, the co-discoverer of insulin focused on the limiting the intake of carbohydrates, especially those of a starchy or sugary nature. The book was titled Letter on Corpulence – Addressed to the Public (1864) and summarized the advice of the author’s physician, Dr. William Harvey that had enabled Banting to shed his ‘portly stature’. 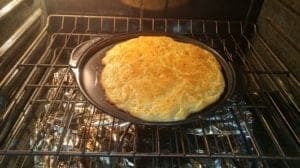 In clinical practice, a ketogenic diet (very low carbohydrate, high fat, adequate protein) was successfully used in the Mayo Clinic nearly 100 years ago by Dr. R. Wilder as a treatment for epilepsy and continues to be used at Johns Hopkins University and other centers for this purpose. In 1963, Dr. Robert Atkins in his own search for a weight loss plan came across an article in the Journal of the American Medical Association titled A New Concept in the Treatment of Obesity . After he successfully lost weight by following its recommendations, he decided to enroll 20 overweight business executives in a 20 week trial. All lost weight and follow up records indicated that they continued to keep it off for at least a year. 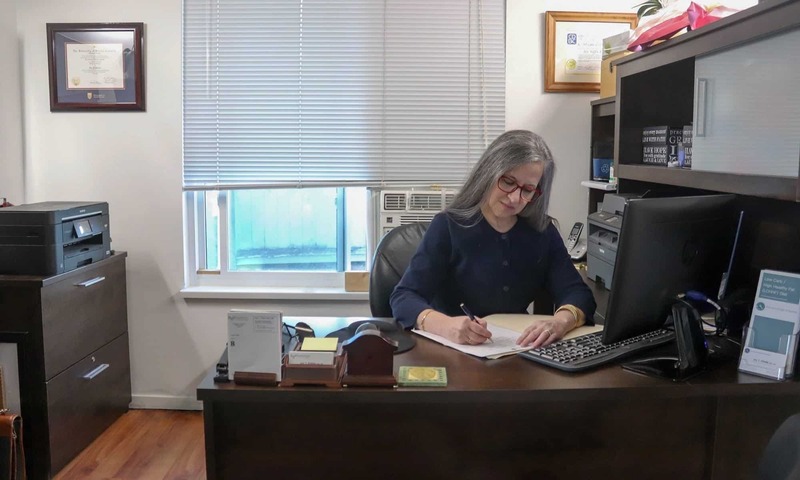 After establishing his medical practice in New York City, Dr. Atkins made some adjustments to the plan and incorporated it into his practice, helping his own patients successfully lose weight. In 1972, Atkins published his book Diet Revolution which was immediately successful but very controversial. Criticism of Atkins and his diet continues to this day. Anecdotal evidence which relies on personal testimony is fine as encouragement (hence my blog A Dietitian’s Journey) and the clinical experience of physicians such as Dr. Jason Fung, a nephrologist from Toronto is excellent, but clinical use of a low carbohydrate diet to target the reversal of symptoms of Type 2 Diabetes requires scientific studies. Stephen Phinney, MD, PhD is a medical doctor and scientist with 40 years experience and is Professor of Medicine Emeritus at University of California, Davis. Dr. Phinney is an internationally recognized expert on obesity, carbohydrate-restricted diets, diet and performance and essential fatty acid metabolism and has held clinical faculty appointments at MIT, the Universities of Vermont, Minnesota and California at Davis. He has designed, conducted and published data from more than 20 clinical protocols involving diets, exercise, oxidative stress and inflammation and his design of clinical nutrition trials has led to more than 87 peer-reviewed papers and book chapters on clinical nutrition and biochemistry. Jeff Volek, PhD, RD is a Registered Dietitian with a Doctorate degree and is professor in the Department of Human Sciences at The Ohio State University. Dr. Volek’s work has contributed to the existing science of ketones and ketogenic diets, their use as a therapeutic tool to manage insulin resistance. For the past 20 years, Dr. Volek has researched how humans adapt to diets restricted in carbohydrates, with a focus on both the clinical and performance application of nutritional ketosis. He has published more than 300 peer-reviewed scientific manuscripts and five books. In 2011, Phinney and Volek published their fully referenced expert guide titled The Art and Science of Low Carbohydrate Living documenting the clinical benefits of carbohydrate restriction and its practicality as both a sustainable and enjoyable lifestyle. While primarily a book directed towards healthcare professionals and those with a science background, it provides ample scientific evidence behind the use of a low carbohydrate diet to target the reversal of symptoms of Type 2 Diabetes. In the January-June issue of JMIR Diabetes, Phinney and Volek along with a host of other physicians, Registered Dietitians and nurses published initial 10 week results of a nonrandomized, parallel arm, outpatient intervention using a very low carb diet which induced nutritional ketosis*. Each participant was provided with intensive nutrition and behavioral counseling, digital coaching and education platform and physician-guided medication management. There were 238 participants in the intervention, all participants had a diagnosis of Type 2 Diabetes (T2D), mean age was 54 years old (with participants ranging in age from 46 – 62 years). The majority were women 67% with 33% men. Average weight was 257 pounds (117 kg) with participants ranging from 200 pounds to 314 pounds (117±26 kg). Average Body Mass Index (BMI) was 41 kg·m-2 (class III obesity) ±9 kg·m-2. Average HbA1c was 7.6% ±1.5%. The majority of participants (89%) were taking at least 1 glycemic control medication. 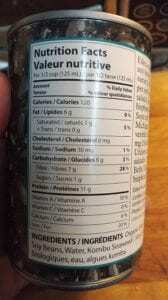 Subjects typically required <30 g·day−1 total dietary carbohydrates. Daily protein intake was targeted to a level of 1.5 g·kg−1 based on ideal body weight and participants were coached to incorporate dietary fats until they were no longer hungry. Other aspects of the diet were individually tailored to ensure safety, effectiveness and satisfaction, including consumption of 3-5 servings of non-starchy vegetables and enough mineral and fluid intake. The blood ketone level of β-hydroxybutyrate was monitored, using a portable, handheld device. At baseline, 89% of participants were taking at least one medication for Diabetes. At 10 weeks almost 57% had one or more Diabetes medications reduced or eliminated. 64% of insulin, sulfonylurea, SGLT-2 inhibitor, DPP-4 inhibitor and thiazolidinedione prescriptions were eliminated in 10 weeks. At baseline, the average HbA1c level was 7.6% ±1.5%, with less than 20% having a HbA1c level of <6.5% (with medication usage). After 10 weeks, HbA1c level was reduced by 1.0% and the percentage of individuals with an HbA1c level of <6.5% increased to more than 56%. Note: 48% achieved this level while taking only Metformin (n=86) or no Diabetes medications (n=39). That is, >15% achieved this level by diet alone. 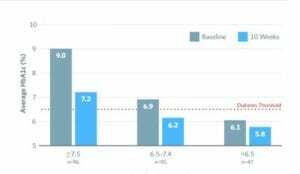 Mean body mass reduction was 7.2% from a baseline average of 117 kg (257.4 pounds) ±26 kg / 57 lbs. After 6 months, 89% of participants were still enrolled in the study. Results indicate that nutritional ketosis was quite effective in improving blood sugar control and weight loss in adults with Type 2 Diabetes, while significantly decreasing medication use. At 6 months, HbA1C was reduced to 6.1% ±0.7% from 7.5% ±1.3% in a sample of 108 participants who elected to test HbA1c at 6 months. Twenty-two of the 108 started with a HbA1c <6.5%, and at 6 months, 76% reduced their HbA1c below the threshold for diabetes diagnosis (6.5%). Patients lost 11.5% (±8.8%) of their body weight with 81% having attained a clinically signiﬁcant weight loss (more than 5% of their body weight). Most medication eliminations were maintained through 6 months along with reduced HbA1c and weight. Participants also experienced a 20% reduction in triglycerides with an average value at follow-up in the healthy range below 1.69 mmol/L (150 mg/dL) . Improvements in blood sugar control in adults with Type 2 Diabetes (T2D) have been associated with weight loss of greater than 5% , which is why a weight loss component is part of many treatment plans. As noted by the researchers, it is often assumed that it is the weight loss that leads to the improvements in blood sugar control, but it is possible that improvements in blood sugar control occur simultaneously with- or before signiﬁcant weight loss is achieved. In their 10-week outcomes, weight and HbA1c reduction seemed to occur simultaneously, but the researchers noted that there were signiﬁcant reductions in HbA1c occurring even before the full life cycle of red blood cells (approximately 100 days), in which HbA1C is measured. The researchers referred to other research which demonstrated that improvements in blood sugar control occur prior to signiﬁcant weight loss . In that study, patients with Type 2 Diabetes who consumed a very low carbohydrate (ketogenic) diet of 21g of carbohydrate per day had signiﬁcantly improved insulin sensitivity concurrent with signiﬁcantly lower plasma glucose and HbA1c, but had only a 5 lb (2kg) weight loss after two weeks ( 1.8%) . This suggests that it is not only the weight loss that was resulting in better insulin sensitivity. The researchers also referred to other studies which reported that early improvement in blood sugar control is also highlighted by how quickly insulin and some oral anti-diabetic medications must be reduced or eliminated when a very low carbohydrate diet is begun, with most reductions and eliminations occurring in the ﬁrst 3 weeks [5,6] when there is only a modest reduction in weight. People with Type 2 Diabetes who take medication to lower blood sugar require the involvement of their physician as they follow a low carb- or ketogenic diet, as an adjustment in medication is often needed soon after beginning, due to blood sugar levels coming down. I would consider it prudent that regular daily glucose monitoring take place for (a) fasting blood sugar, at least once (b) just before a meal, and at least once (c) 2 hrs after a meal and again (d) at bedtime. For those taking medication to lower blood pressure, the involvement of one’s physician is also needed, as blood pressure often drops with– or soon after blood sugar levels come down. The doctor may need to adjust medication dosages several times before attempting to trial eliminating them. If you are taking medications to lower blood sugar or blood pressure, please speak to your doctor before beginning to eat low carb. For those with Type 2 Diabetes but not taking any medication to lower blood sugar, regular daily glucose monitoring is still necessary, with (a) daily fasting blood sugar and (b) at bedtime and a few times per week (c) just before a meal, and (d) 2 hrs after a meal. This is to be sure that blood sugar levels do not drop too low. For those whose clinical condition requires use of a very low carbohydrate diet / use of nutritional ketosis, monitoring of ketone levels using urine sticks at first and then blood levels of β-hydroxybutyrate occurs is highly recommended to make sure that steady levels are maintained. Note: It is not recommended for people with any health or medical conditions to seek to achieve the levels of nutritional ketosis described in the above study, with levels of β-hydroxybutyrate between 0.5 and 3.0 mmol·L−1 without regular medical supervision. As demonstrated by this intervention study, it is entirely possible for the symptoms of Type 2 Diabetes to go into remission by following a low-carbohydrate lifestyle. After 6 months, >75% of people had HbA1c that was no longer in the Diabetic range (6.5%). This does not mean, however that their Diabetes was “cured”. If those people revert back to eating a high carb intake, they will experience the return of high blood sugar, blood pressure and abnormal lipid profile. For those wanting to manage and aim to achieve remission of Type 2 Diabetes symptoms, I recommend that people first speak with their doctor about following a low carbohydrate diet with the support of an Registered Dietitian who is experienced using a wide range of low carb diets. Why not send me a note using the Contact Me form located on the tab above? 5. Boden G, Sargrad K, Homko C, Mozzoli M, Stein PT. Eﬀect of a low-carbohydrate diet on appetite, blood glucose levels, and insulin resistance in obese patients with type 2 diabetes. 2005;142(6): 403-411. 6. Bistrian BR, Blackburn GL, Flatt JP, Sizer J, Scrimshaw NS, Sherman M. Nitrogen metabolism and insulin requirements in obese diabetic adults on a protein-sparing modiﬁed fast. 1976;25(6):494-504.